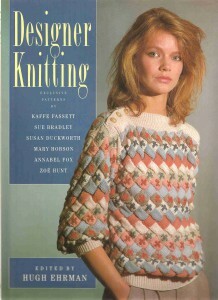 Just Knitting has a nice selection is previously enjoyed knitting books. Each book will have a brief description on content and condition. Every effort will be made to get this description correct, but it is possible that minor defects are over-looked as we flip through each book. Please Contact us if you would like more details or a shipping quote. 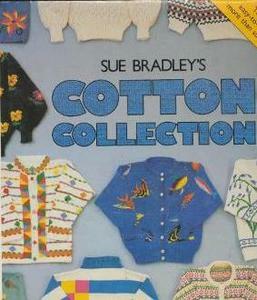 Cotton Collection by Sue Bradley is a 1988 hardcover collection of 20 sweater designs that are easy to knit and includes a section on cotton suppliers and care of cotton garments. This book is in like new condition. 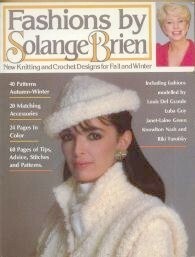 Fashions by Solange Brien is a 1984 softcover book of 60 fall and winter projects. 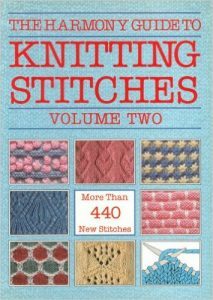 Also included are 60 pages of tips, advice and illustrated stitches. Interestingly some of the projects are modeled by CBC personalities. This book is in like new condition. Knit Two by Angela King is a 1984 hardcover mix of both easy and advanced patterns, suited both beginners and those who enjoy intricate Fair Isle projects. This book has a section of tips and tricks and is in like new condition. The Seaton Collection by Jamie and Jessie Seaton is a 1989 hardcover collection of colourful tops and sweaters. 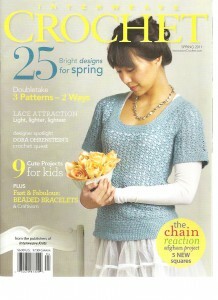 The designs all use simple stitches for competent knitters and there is a section on reading patterns. A high quality British book in good used condition. 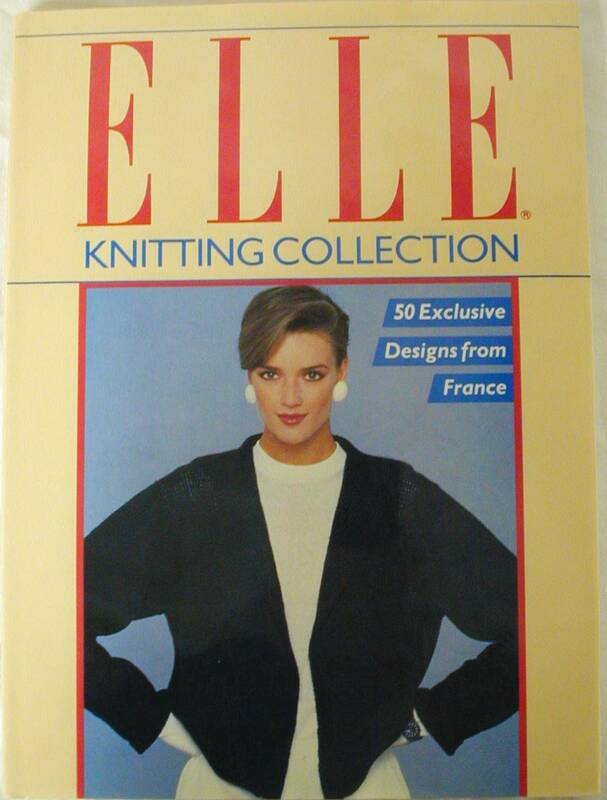 Elle Knitting Collection by Sandy Carr is a 1989 hardcover collection of over 50 designs from France. 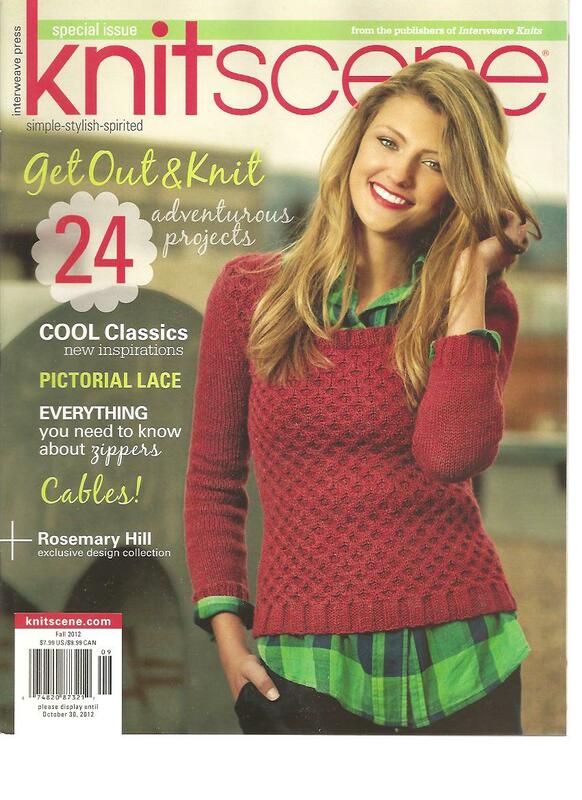 The four seasons designs have an accent on stylish simplicity that is well with-in the reach of the average knitter. 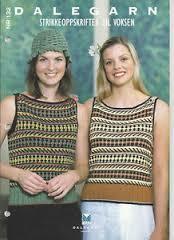 There is also a section of altering patterns and renovating knitted garments. This book is in like new condition. 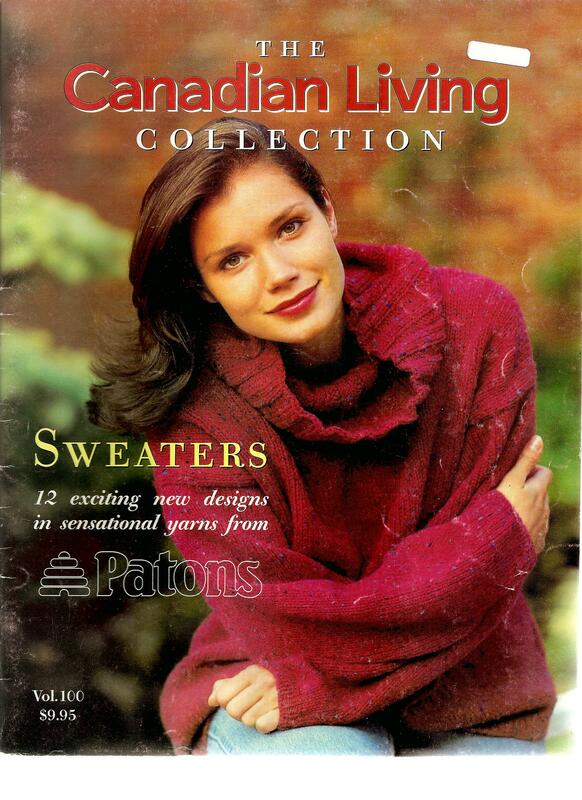 Forever Favorites by Patons is a 1999 softcover selection of their best patterns from the first 50 years. 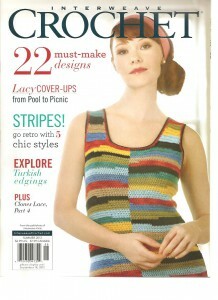 Over 35 sweaters, afghans and accessories to inspire knitters and crocheters of every skill level. 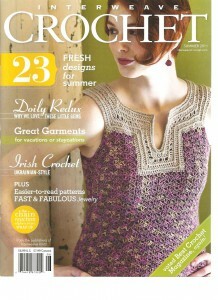 These patterns have been updated and photographed anew. 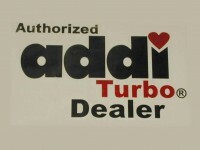 This copy is in very good used condition with only minor signs of use. 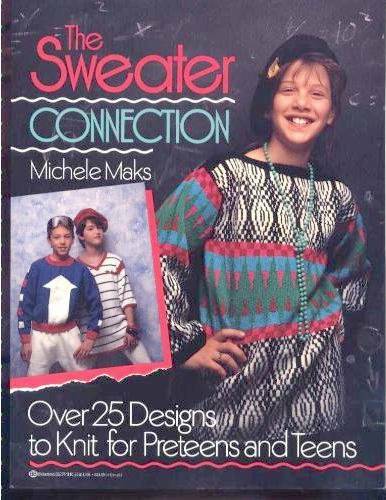 The Sweater Connection by Michele Maks is a 1989 softcover collection of over 25 designs for older children and teenagers, guys and girls. This copy is in like new condition. 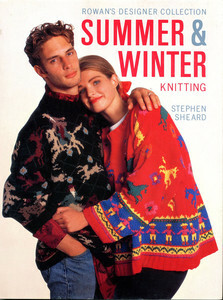 Rowan’s Designer Collection Summer & Winter by Stephen Sheard is a 1987 hardcover collection of 40 patterns from 20 top designers. These projects fit in two categories, classics and modern with designs for children to his and hers. This book is in like new condition with only a minor tear to the dust jacket. 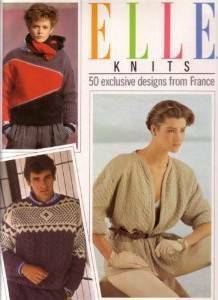 Elle Knits by Elle Magazine is a 1986 hardcover collection of 50 designs from France. The patterns were selected to suit the abilities of both beginners and experts and include both imperial and metric measurements. 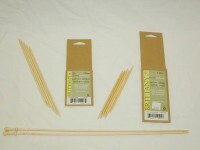 Projects for all of the family have been included, along with a section on care for your projects. This book is in like new condition. The Sasha Kagan Sweater Book is a 1985 softcover collection of 48 sweater designs grouped into Flowers, Nursery, Ethnic and Geometric categories. There is a chapter on yarns, know-how and measurements also. The book is in great used condition. 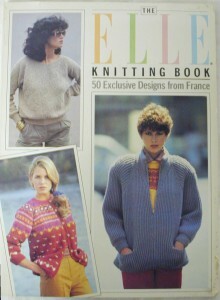 The Elle Knitting Book by Sandy Carr is a 1984 softcover collection of over 50 designs from France. 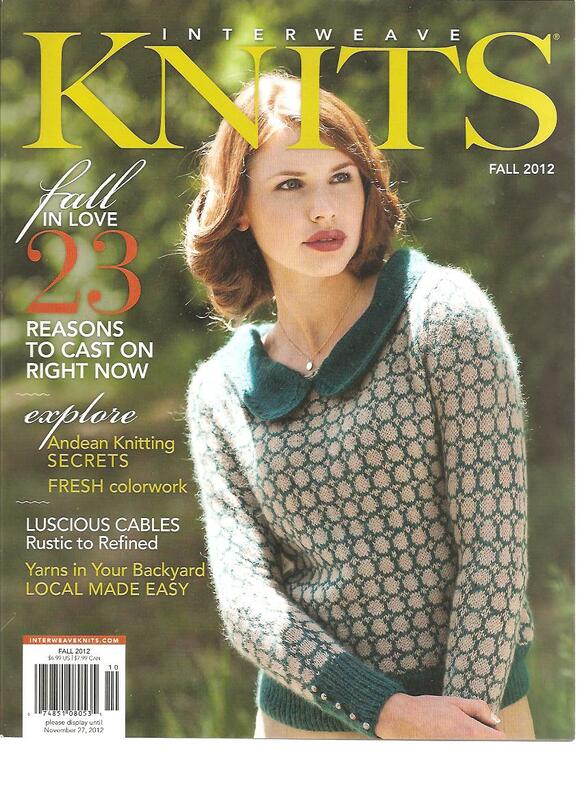 The four season designs have an accent on stylish simplicity that is well with-in the reach of the average knitter. 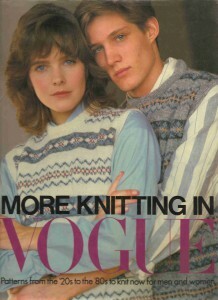 There is also a section of altering patterns and renovating knitted garments. This book has some minor damage to the covers and is in good used condition. Knitting Masterpieces by Ruth Herring and Karen Manners is a 1987 hardcover collection of sweaters, tops and dresses featuring artistic illustrations based on the history of art. 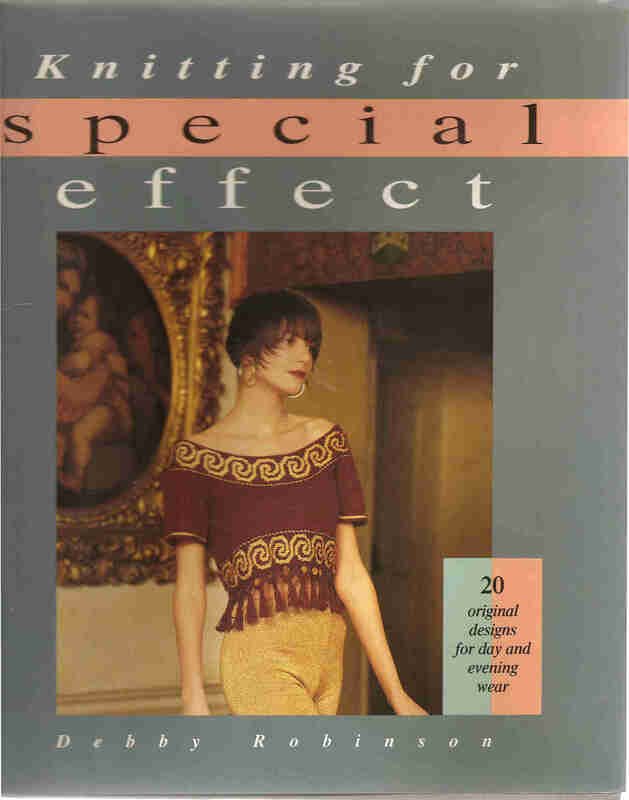 Each patter has a full color stitch chart and is shown with one or more great color photos. This book is in very good used condition with only slight discoloration to the dust jacket. Creative Designs in Wall Hangings by Lili Blumenau is a 1967 hardcover detailing all styles of weaving. 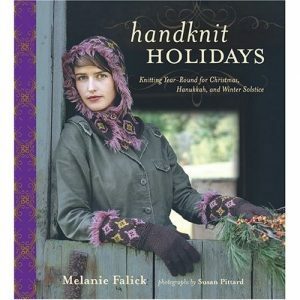 Many of the patterns described are freehand woven on everything from table-top to two-person looms. 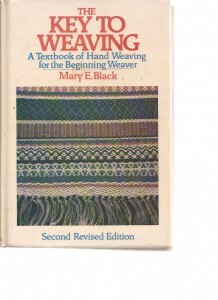 There are chapters on various styles of equipment, preparations/set-up and the yarns/materials that can be used in weaving. There are many pictures in both color and B/W to accompany the text. 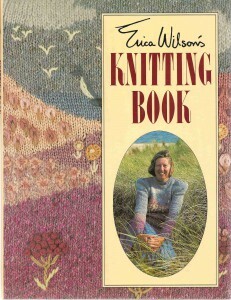 The book is in good used condition, though there are a few small tears to the dust jacket. 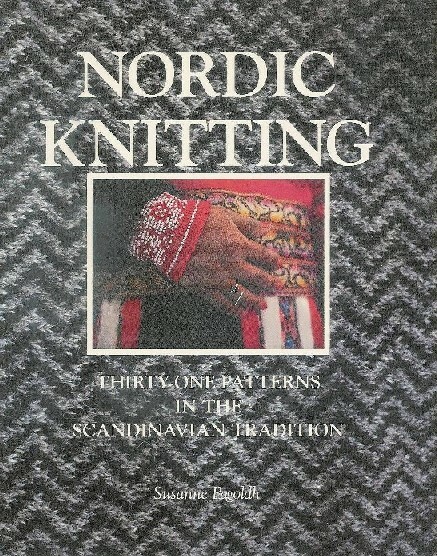 Nordic Knitting by Susanne Pagoldh is a 1991 hardcover with 31 patterns from many Scandinavian countries in traditional styles. 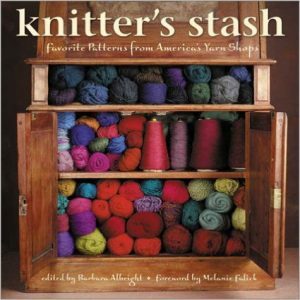 Sweaters, socks, gloves and more. 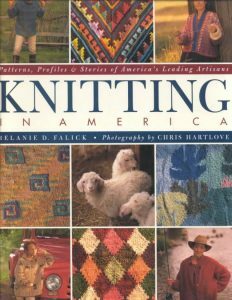 Complimenting the patterns is a bit of knitting history from these regions, many of us have never seen. The book has a pictorial cover and is in like new condition. 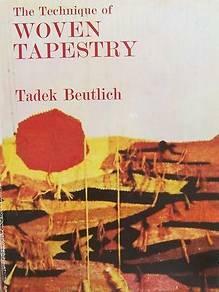 The Technique of Woven Tapestry by Tadek Beutlich is a 1971 hardcover that covers the history, techniques and equipment of this ancient craft. 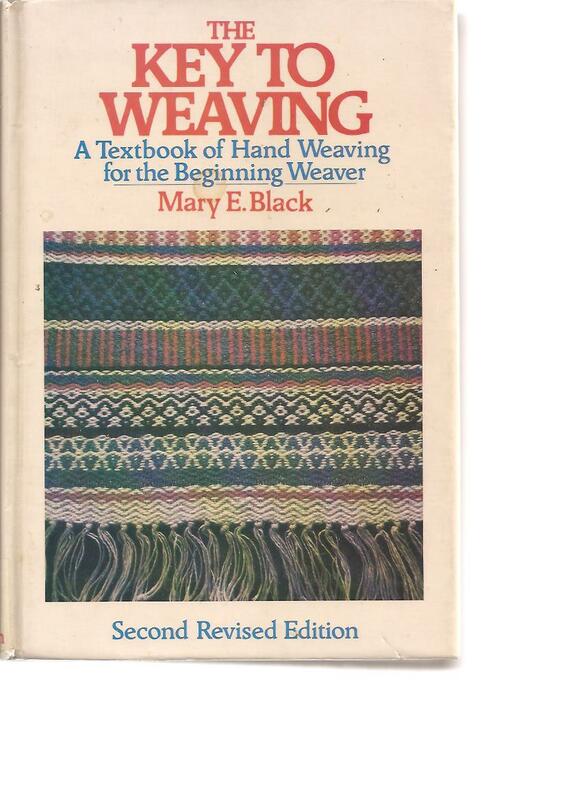 There are lots of pictures and illustrations to guide the reader through this detailed handbook, which is written for both the beginner and experienced weaver. 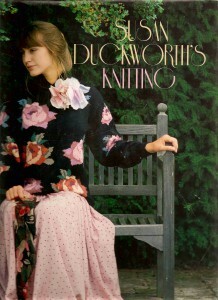 This book is in great condition though the dust jacket has some minor signs of wear – in keeping with a book of this age. 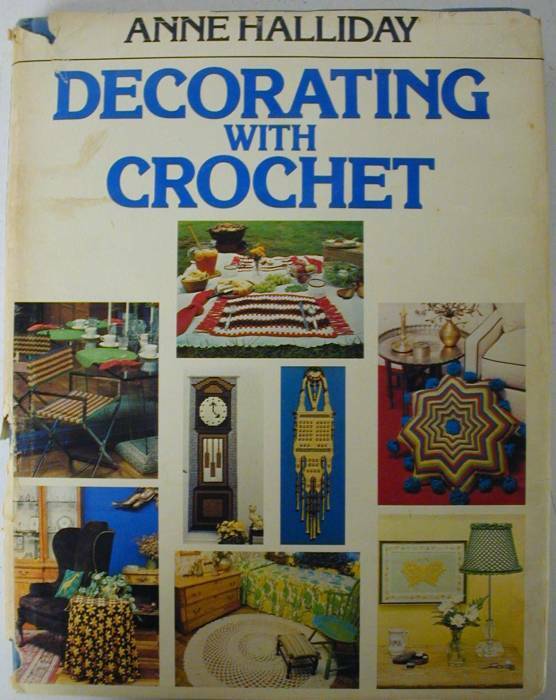 Decorating With Crochet by Anne Halliday is a 1975 hardcover collection of patterns and projects for all areas of the home. 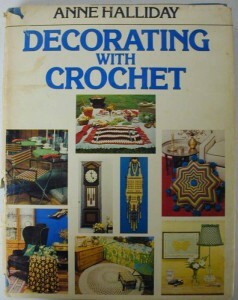 Some sections include tapestries, rugs, furniture, pillows, small accessories for the home and instruction on the techniques of crochet . 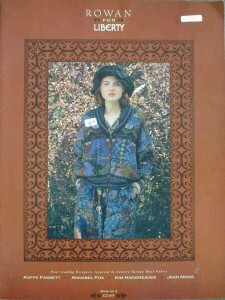 This book is in good used condition, but the dust jacket is discolored and damaged in several places. 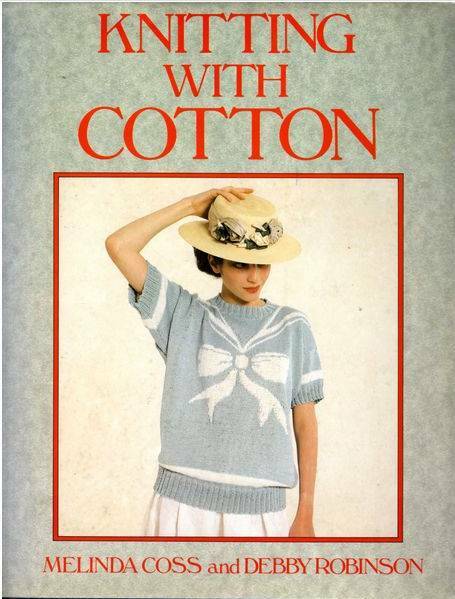 Knitting With Cotton by Melinda Coss and Debby Robinson is a 1988 softcover collection of sweaters and tops for all members of the family. 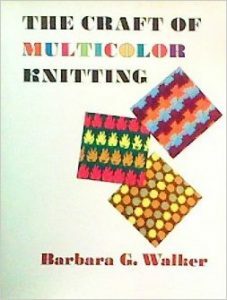 All projects are shown in color and there is a section on techniques such as Swiss darning, finishing, intarsia and fairisle. Designer Knitting by Hugh Ehrman is a 1986 hardcover with exclusive patterns by Kaffe Fassett, Susan Duckworth, Sasha Kagan, Zoe Hunt and more. 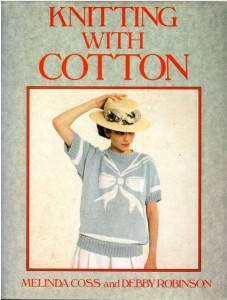 This book offers a selection of fashions for both women and children. Pattern Library For Punch Card Knitters is an older book with 100s of color patterns. 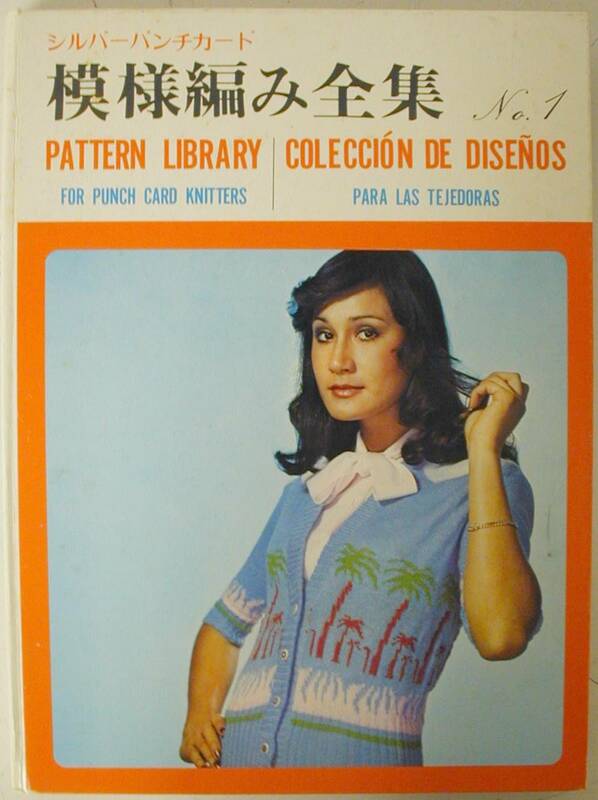 This book is written in English, Japanese and Spanish and is really only suited for those who are familiar with the punch card knitting style. 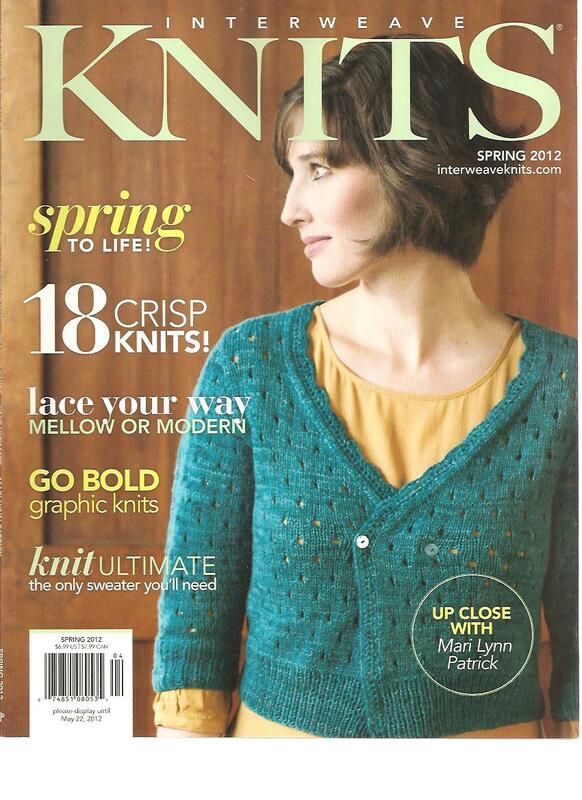 There are no patterns written out the way we see conventional knitting patterns. This hardcover book is slightly bowed and the front cover is slightly discolored. There is a small tear to the spine’s paper. The pages are like new with no marks or cuts. 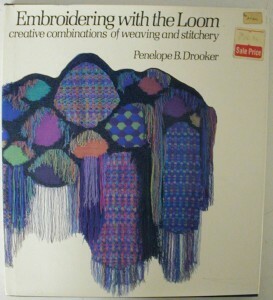 Embroidering With The Loom by Penelope Drooker is a 1979 hardcover guide of interest to artists who wish to combine the techniques of weaving and needlework. Embroidery over an empty warp, embroidery produced over woven fabrics and embroidery partially made on the loom are detailed. This copy is in very good condition with a small rip and minor scuffing to in the dust jacket. 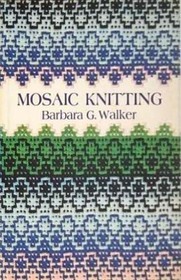 Mosaic Knitting by Barbara Walker is a 1976 hardcover collection of nearly 200 patterns, all featuring the technique of mosaic knitting. 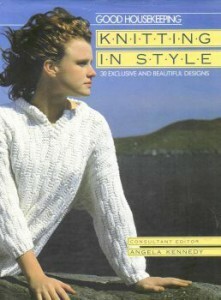 This book explains that this style of knitting can be mastered by both beginners and experienced knitters. 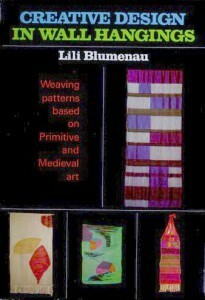 Each pattern has a chart and corresponding photo illustrating the pattern. There are photos of some completed projects also. 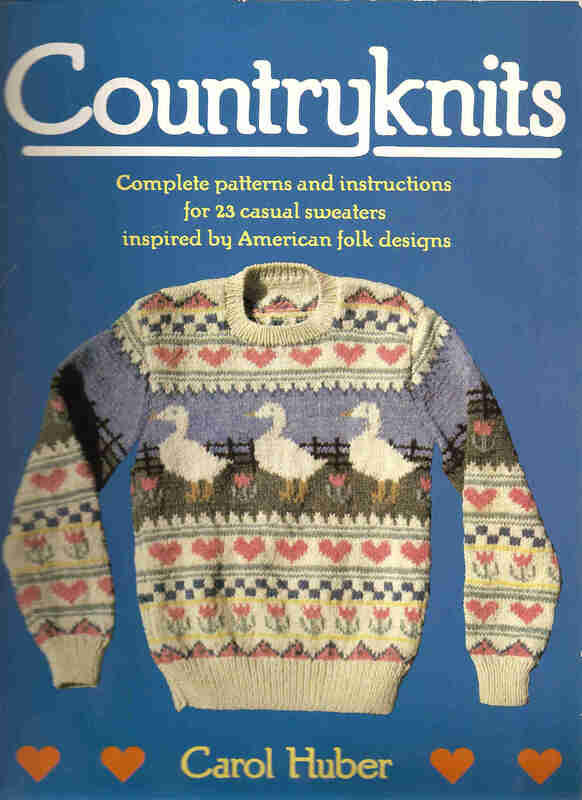 This book is in very good used condition. The dust jacket is very nice and there is some minor wear to the corners of the hardcover boards. 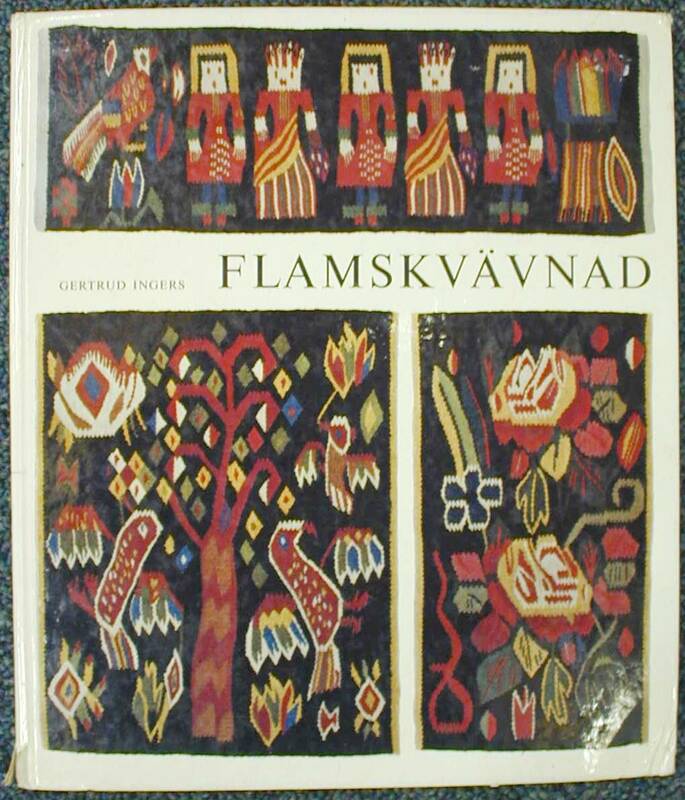 Flamskvavnad ( Flemish Weaving ) by Gertrud Ingers and Ernst Fischer is a 1970 hardcover on tapestry weaving. 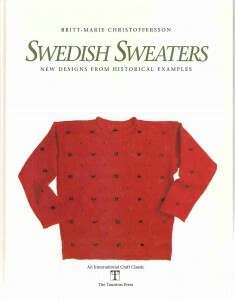 There are a few pattern papers inside the book, along with a chart of Swedish-English word translations. 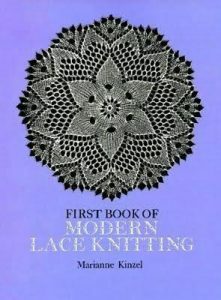 This is handy for most, as the book is written in Flemish. There are many pictures of projects in both color and black & white. The book has a small tear to the bottom of the spine and some minor dings to the corners of the covers, as shown in the picture. 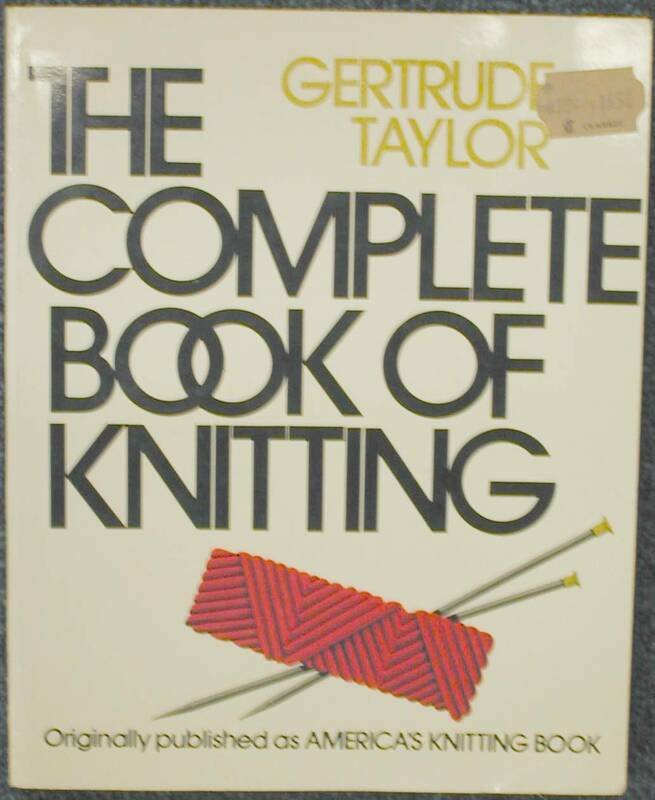 The Complete Book of Knitting by Gertrude Taylor is a 1983 softcover with something for all knitters. 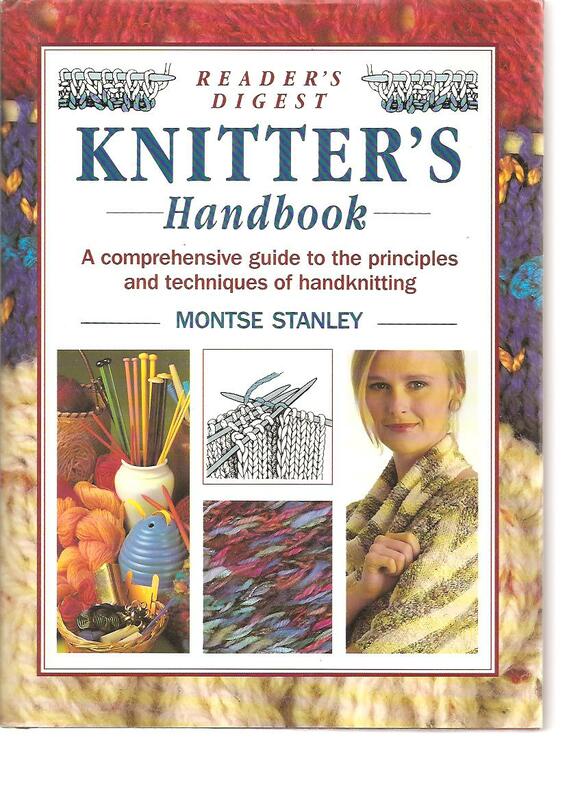 Both beginners and experienced knitters will gain from of this detailed, easy to read how-to book. There are many diagrams and pictures to accompany the text. This copy has a few pages with a fold in the lower corners, otherwise it’s in good used condition. 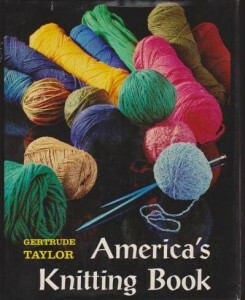 America’s Knitting Book by Gertrude Taylor is a 1968 hardcover is a great how-to reference for every knitter. Based on the author’s years of teaching, this detailed book explains most of the questions of problems her students have provided. This copy is in excellent used condition with only a minor tear in the rear dust jacket. 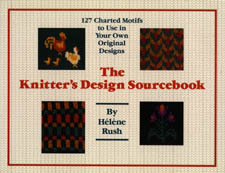 The Knitter’s Design Sourcebook by Helene Rush is a 1991 softcover with 127 charted and color photographed designs. Sections on designing, techniques and instructions on style all add to the illustrated motifs which can be incorporated in almost any project. This book is in like-new condition. 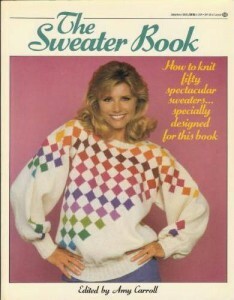 The Sweater Book by Amy Carroll is a 1982 softcover collection of 50 colorful sweaters for both women and children. 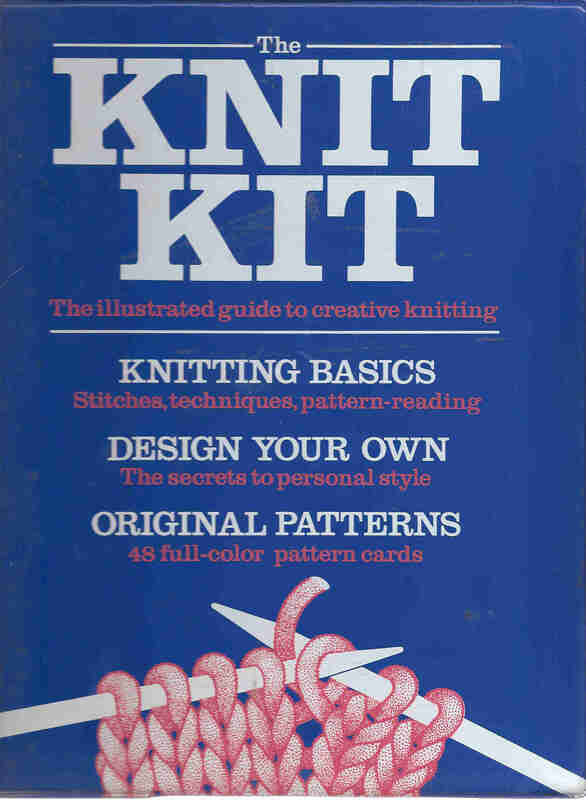 There is very nice “know-how” section at the back of the book covering many of the finer points of knitting. 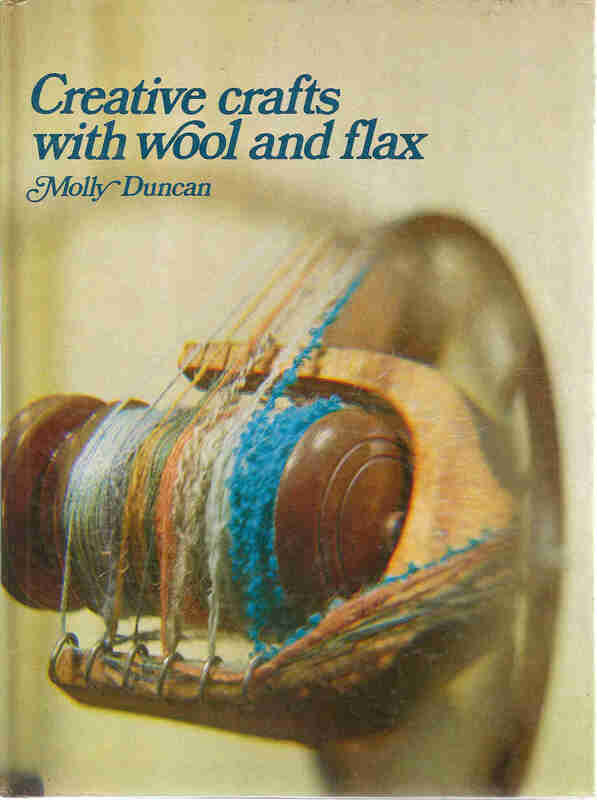 Also included are a few pages showing colorful types of yarn and their manufacturers. This copy is in very good condition with only slight discoloration on the first few pages. 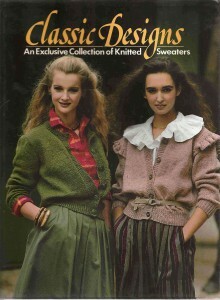 Sweaters By Hand by Helene Rush and Rachael Emmons is a 1988 softcover all about knitting sweaters from handspun yarns. 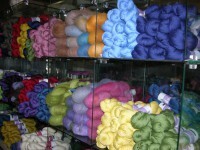 There are sections on fiber selection, equipment, spinning, dying and designing. 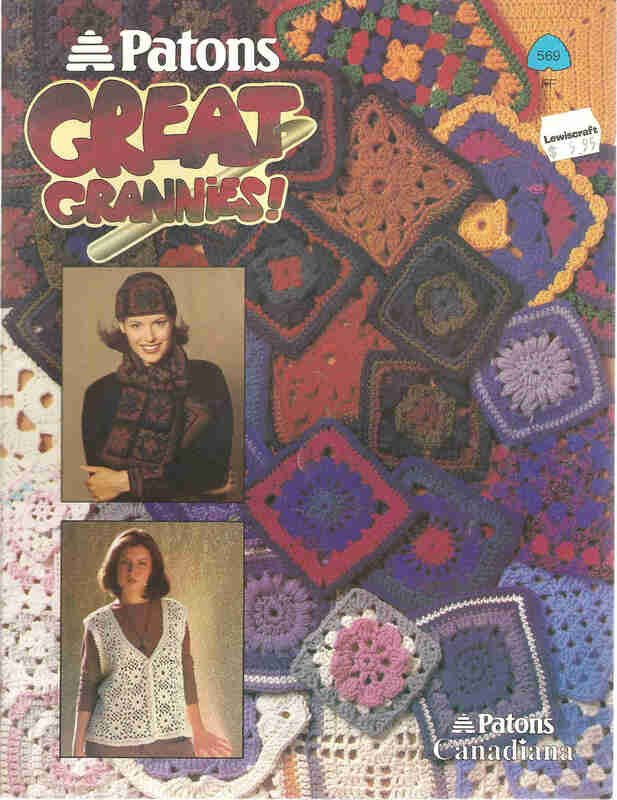 The 24 patterns are very detailed and each has a color photo, various illustrations and dying tips for the fiber required. This book is in excellent used condition. Knitting in Style – Good Housekeeping with Angela Kennedy and Debbie Bliss is a 1985 softcover collection of 30 designs. 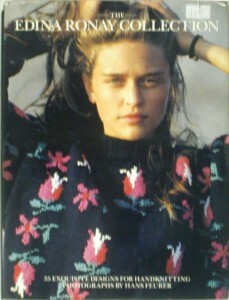 All traditionally patterned women’s tops are beautifully pictured on location in County Kerry Ireland. 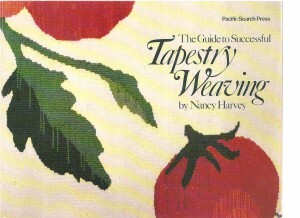 Most patterns are featured in various natural fibers. This book is in like-new condition. Original Knitting by Sandy Black is a 1987 hardcover and contains more than thirty original vibrant patterns. The patterns, arranged by their design themes, range from vivid and rich colour mixes to striking geometric patterns. 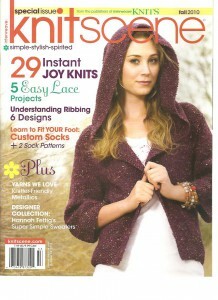 Each pattern is illustrated with several photographs and close-ups to help your creations flourish. 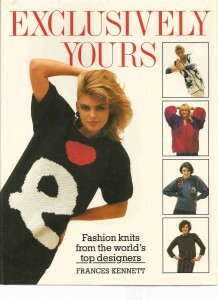 Exclusively Yours by Frances Kennett is a 1986 hardcover that contains a unique collection of patterns from many international designers. The projects in this book are the best that these designers have produced. 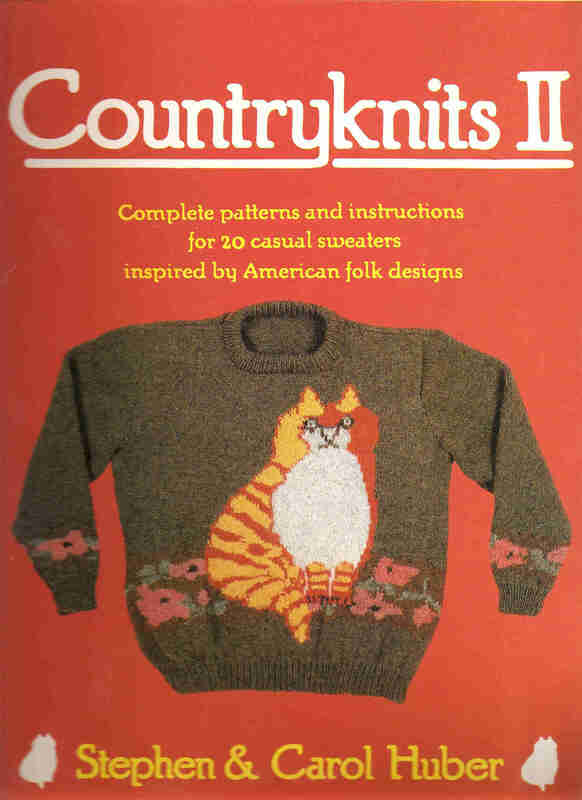 These creations cater to the average hand-knitter, so no special experience is needed to produce any number of these garments. This book also contains a helpful tips section to improve your knitting. 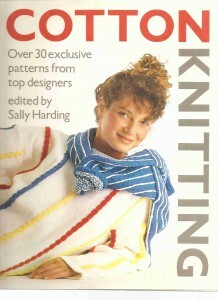 Cotton Knitting by Sally Harding is a 1987 hardcover with more than thirty original designs to choose from. Ranging from simple to sophisticated, there is something for every occasion. 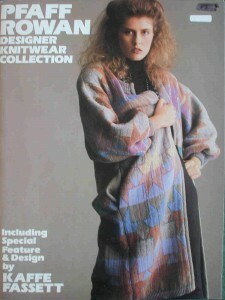 Designer Knitting by Hugh Ehrman is a 1989 hardcover that brings together some of the best knitwear ideas. Offering a diverse collection from pullovers to sweaters and even two designs just for children. 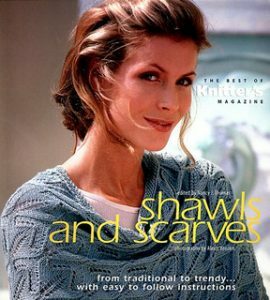 Featuring many designs of international inspiration in rich and vivid colour and texture, all within the capabilities of the average knitter thanks to the straightforward and informative instructions and charts. Scandinavian Knitwear by Alice Starmore is a 1982 hardcover containing 30 garments for men, women and children. 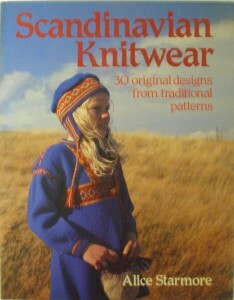 All inspired by traditional Scandinavian knitting patterns. This book contains pullovers, coats, jackets, dresses and a children’s all-in-one suit. 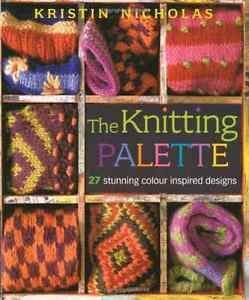 All these patterns are beautifully coloured and come with easy to follow charts and illustrations. This book is in very good condition with only slight scuffing on the read dust jacket. 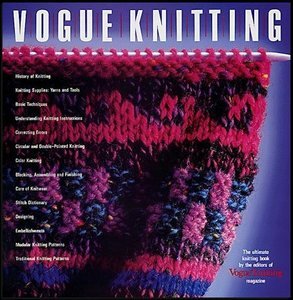 Vogue Knitting: The Ultimate Knitting Book by Vogue Knitting is a 1989 hardcover that will teach you the history of knitting, basic techniques, explanations of terminology, symbols and abbreviations, more advanced techniques. 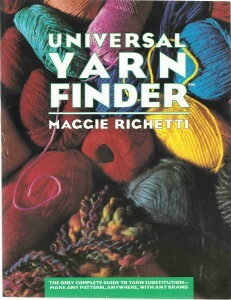 This book is loaded with helpful information for all knitters. 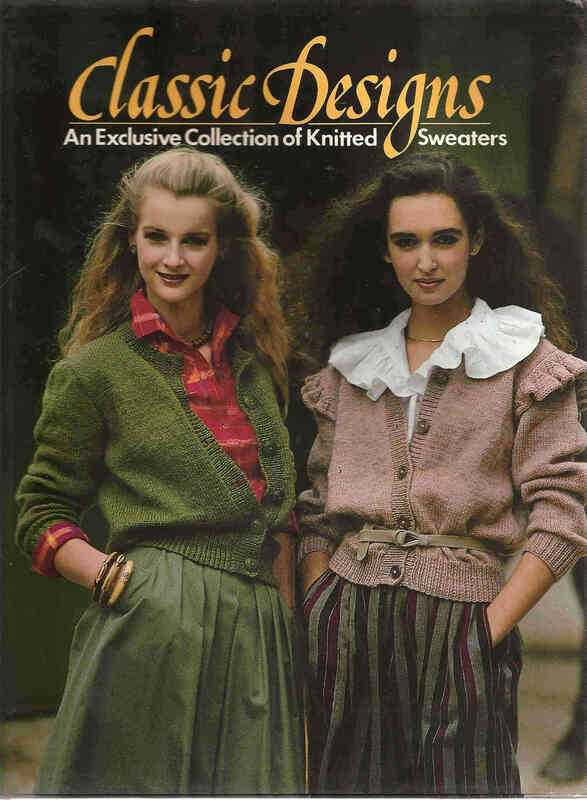 The Edina Ronay Collection by Edina Ronay is a 1988 hardcover and contains 35 designs for sleek evening sweaters to brightly coloured jumpers. 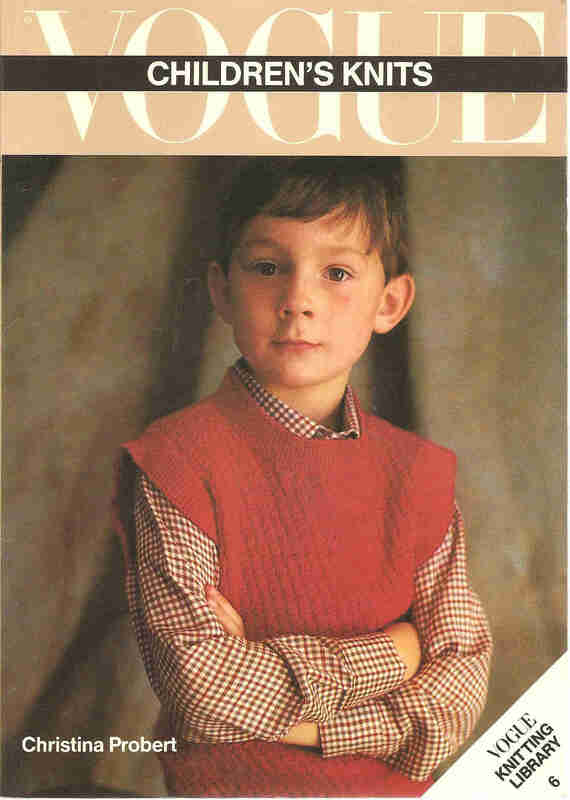 There are classic 1930’s sweaters, men’s sweaters and children’s sweaters. 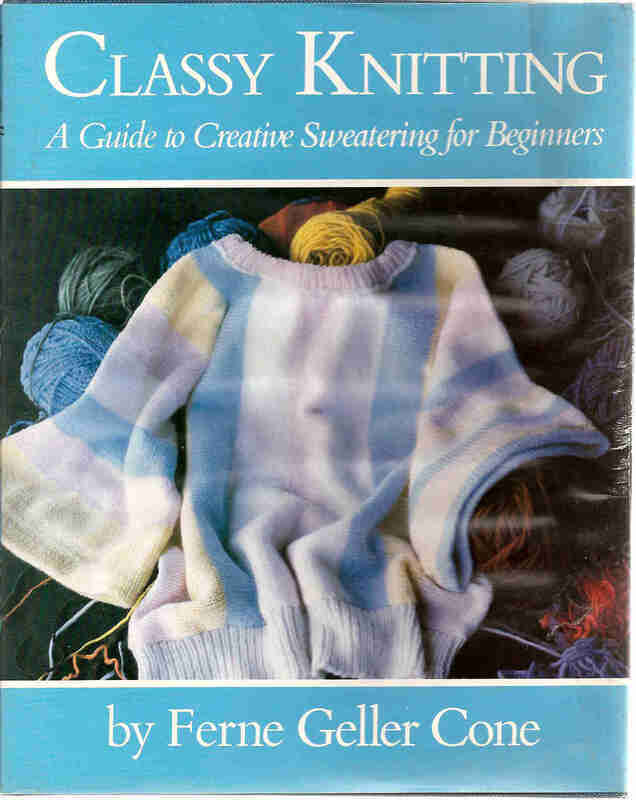 All accompanied by photographs and instructions to help you create your beautiful sweaters. The dust jacket has some small tears as can be seen in the picture. Former owner markings inside the covers. The book and pages are in very good condition. More Knitting in Vogue by Christina Probert is a 1983 hardcover is a collection of 66 of the best hand-knit designs for men and women in all kinds of colour and texture from Vogue. 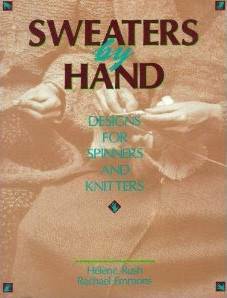 This book includes sweaters, cardigans, tunics and more. 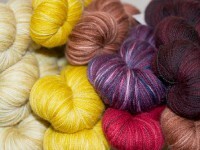 Each design also has a full colour photograph to go with it. This book is in excellent condition with very minor scuffing to the edge of the dust jacket. 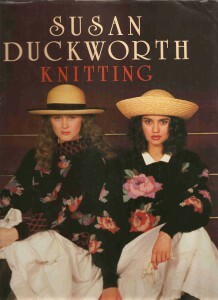 Susan Duckworth Knitting by Susan Duckworth is a 1988 hardcover that contains over 30 extraordinary patterns. 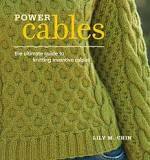 From cabled jackets to cardigans all patterns are illustrated and accompanied by charts and instructions. This book is in excellent condition with very minor creases to the edge of the dust jacket. 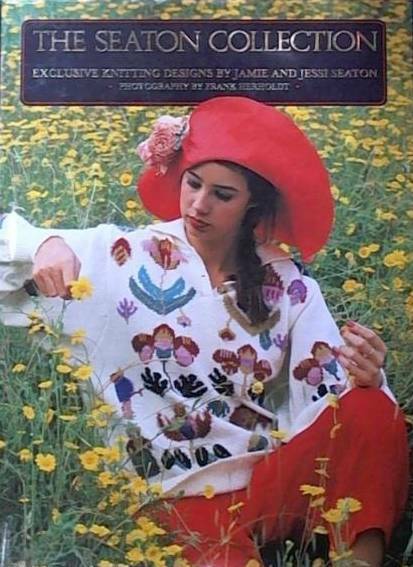 The Pure New Wool Designer Knitwear Collection by Isabel Papadakis is a 1986 hardcover with a total of 36 patterns with photographs all for hand-knitters. 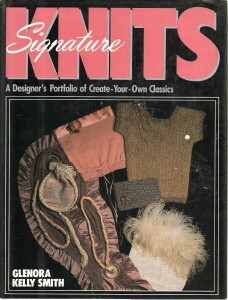 At the back of the book is an illustrated reference section describing any materials, techniques or accessories necessary. 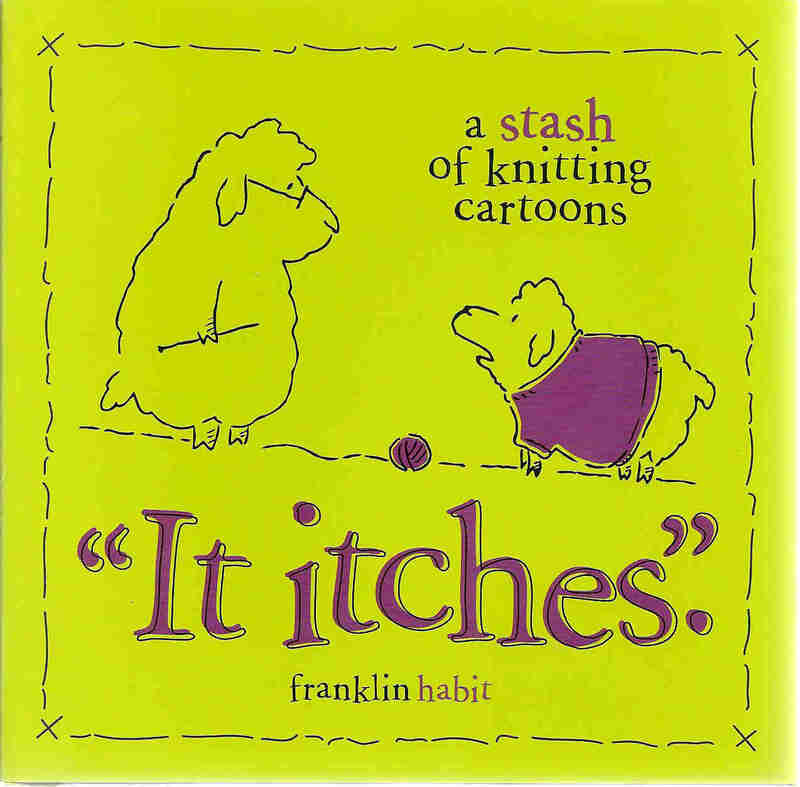 It Itches by Franklin Habit is a 2008 hardcover book filled with witty and humorous cartoons that will have any knitter laughing after opening this book. This book is in very good condition with a gifting notation inside the front cover. Classy Knitting by Ferne Geller Cone is a 1984 hardcover book explains the techniques for making great looking sweaters. 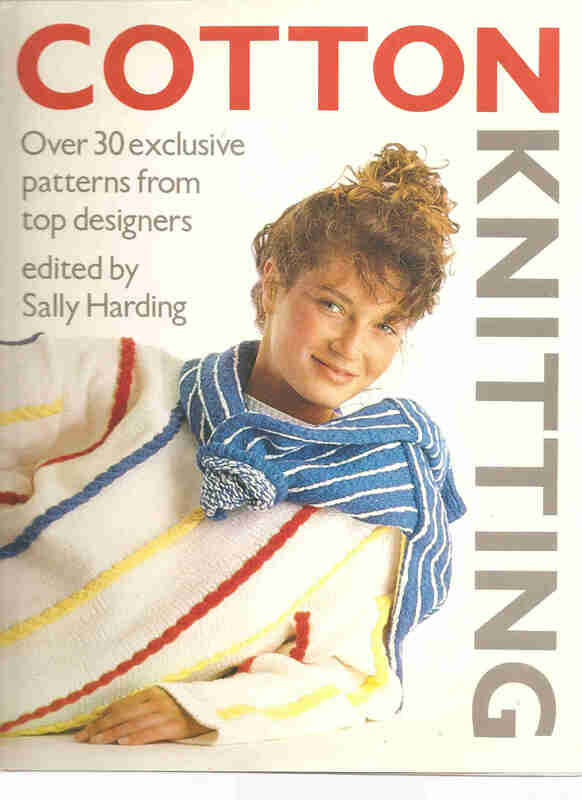 The author shows how to use basic stitches to form patterns, ribbing and ruffles; how to add colour, stripes and textures; how to increase and decrease. 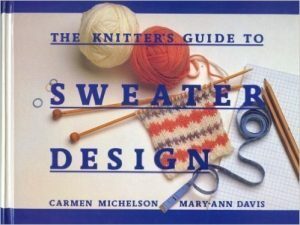 This book contains all the tips a knitter may need for making a sweater. This book is in very good used condition with minor scuffing to the dust jacket. 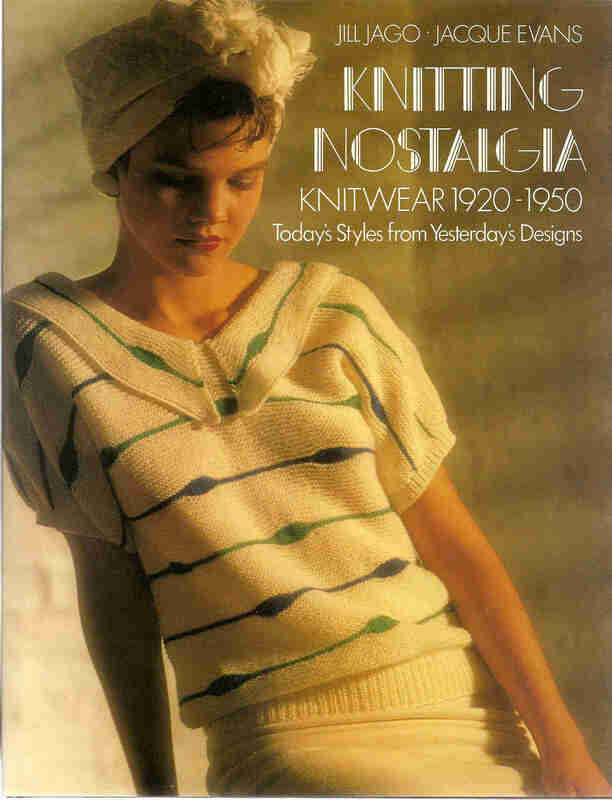 Knitting Nostalgia by Jill Jago & Jacque Evans is a 1985 hardcover that contains the best designs from the heights of twenties to fifties fashion. 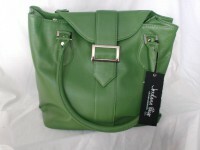 Containing designs ranging from simple to complex for sweaters, gloves, scarves, hats and other stunning outfits. 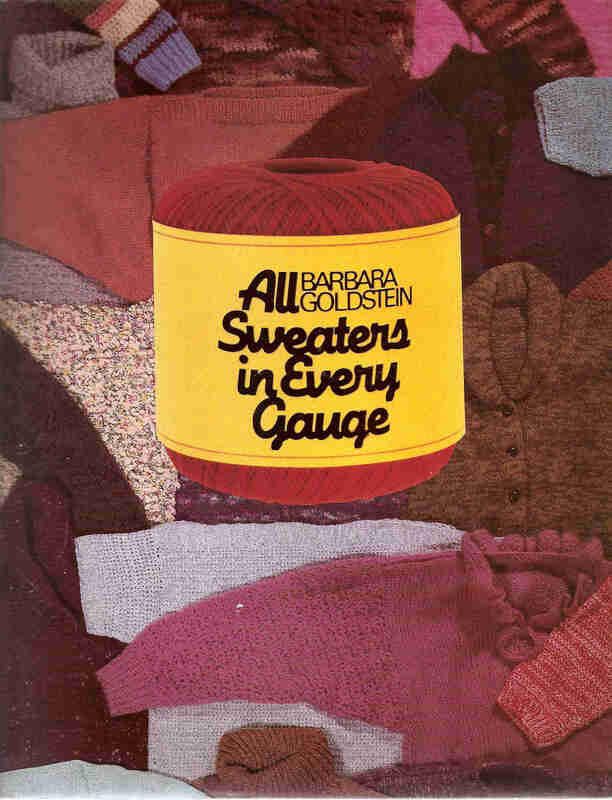 All Sweaters in Every Gauge by Barbara Goldstein is a 1986 hardcover containing all the basic sweater patterns, and each can be made in any yarn from very fine to very bulky. This book gives you more than 20,000 different sweater possibilities, from the type of neck or sleeves to the addition of pockets, a hood or a zipper. 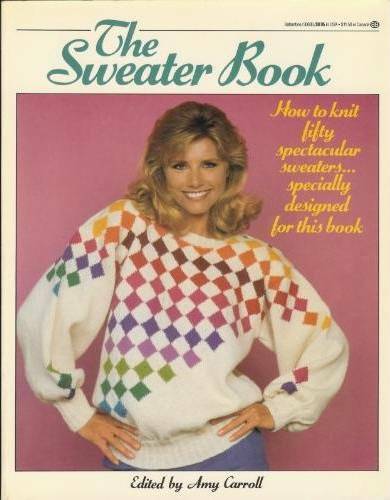 This book will provide you with almost any sweater you could want. This book is in very good used condition with minor creases to the lower edge of the dust jacket. 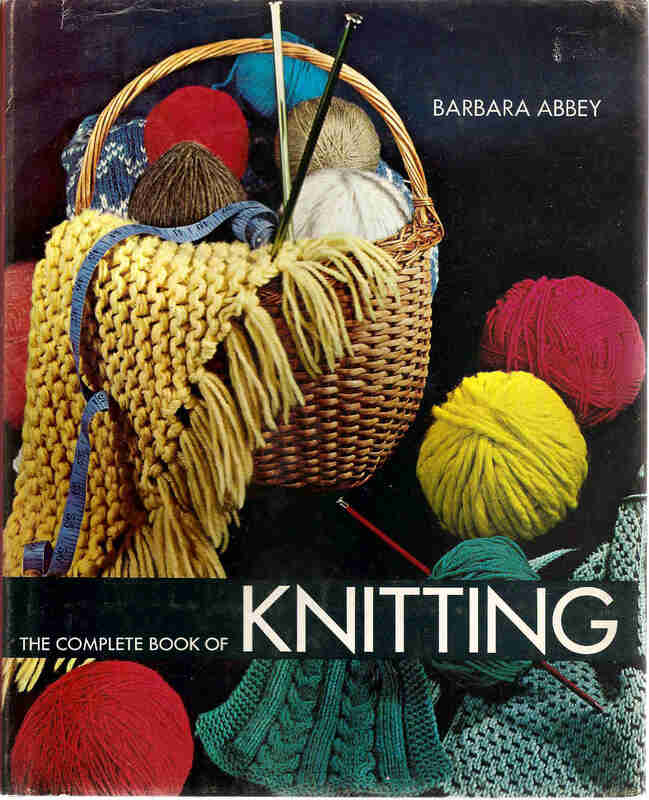 The Complete Book of Knitting by Barbara Abbey is a 1971 hardcover that explains all the basic procedures of knitting, from casting-on to blocking. 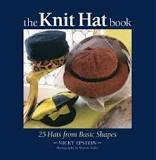 This book includes instructions for over 200 pattern stitches, how to improve uneven knitting, proper use of equipment, illustrations for all the fundamental steps of knitting and more. This is a used book in good condition. There are some minor tears and creases to the dust jacket and some small age spots to the edges of the pages. Twined Knitting by Birgitta Dandanell & Ulla Danielsson “A Swedish Folkcraft Technique” is a 1989 hardcover that details twined knitting, its history, where and how it was used, tips for choosing yarns and needles, casting on and more. 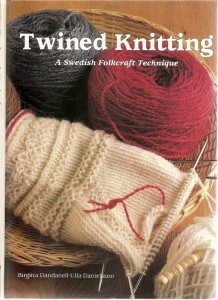 This book also contains a few basic patterns that use twined knitting. Classic Designs by Mary Devine is a 1985 hardcover that contains stylish sweater patterns from bright spring sweaters to summer tops. 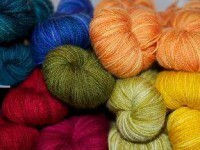 There is also advice on buying yarns and useful tips to avoid common mistakes. 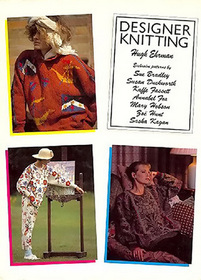 The patterns are presented in an easy-to-follow format with photographs. This book is in very good used condition with only minor tears to the dust jacket. 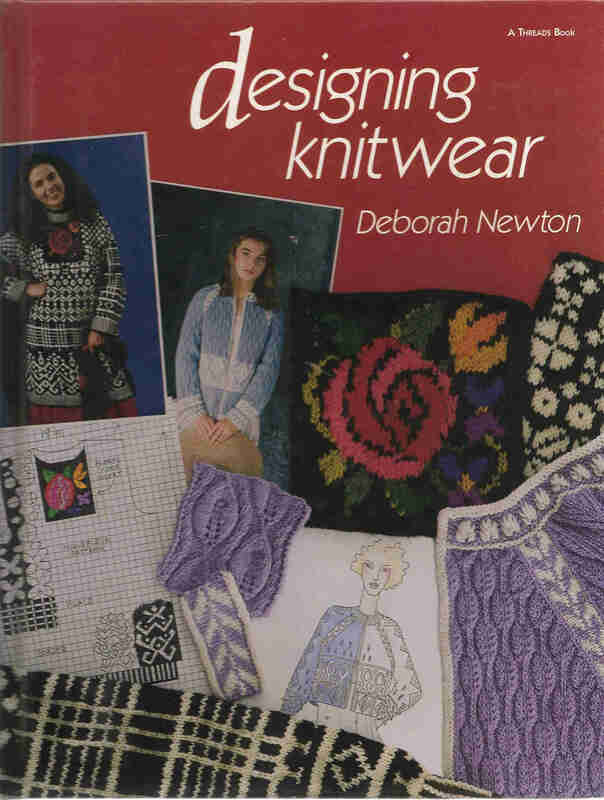 Designer Knitwear by Deborah Newton is a 1992 hardcover that will show you how to create your own knitwear designs. This book includes all kinds of information including: finding inspiration, shaping and fitting garments, working with colour and graphics, and finishing techniques. 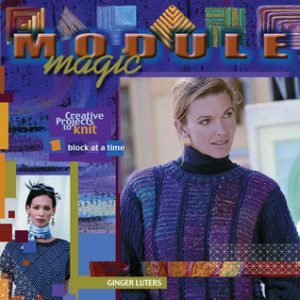 This book also includes instructions for the 16 garments in the book and many partial schematics for you to develop into your own designs. 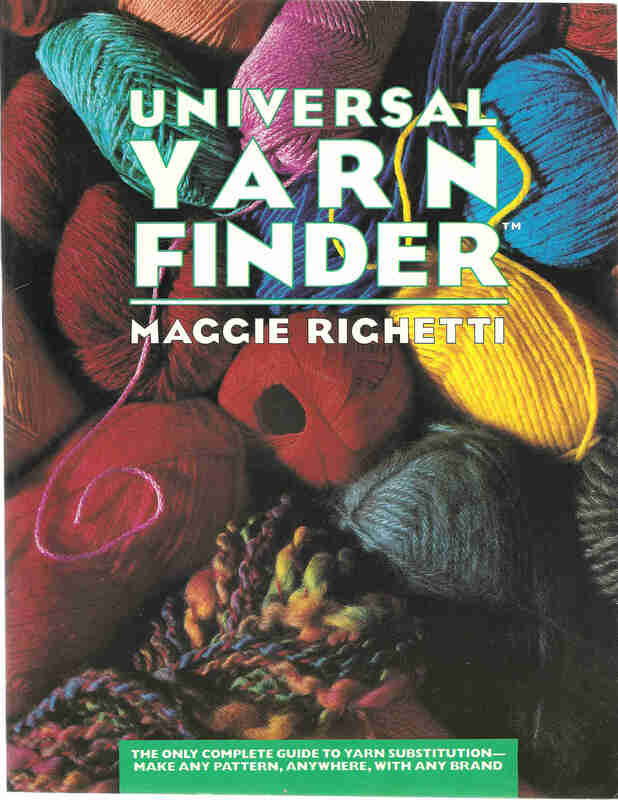 Universal Yarn Finder by Maggie Righetti is a 1987 softcover to help knitters keep track of the characteristics of the many different types of yarn. 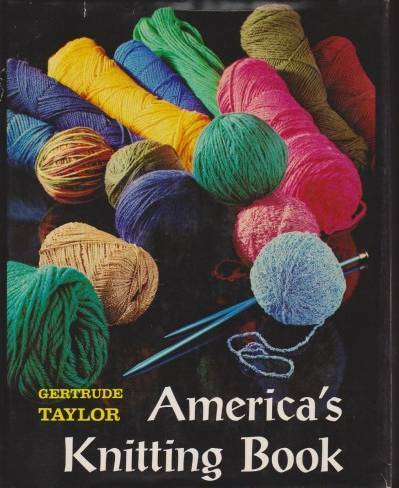 “A complete guide for yarn substitutions.” This book divides yarns into five classes, and are listed alphabetically by brand and yarn name. 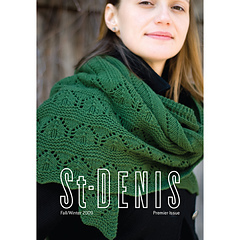 Each yarn has a suggested needle and hook size, gauge and tension, weight, number of skeins for an average man/woman/child’s garment, and more. Knitting for Special Effect by Debby Robinson is a 1990 hardcover that contains twenty unique designs with a range if special effects, including: beading, embroidery, fringing and more. 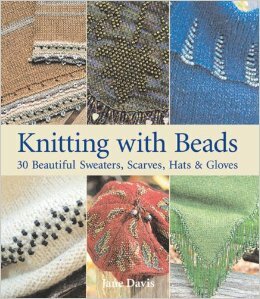 This book includes designs like: a cropped sweater with a “droplet” stitch, a wrap-around mohair coat and much more. Swedish Sweaters by Britt-Marie Christoffersson is a 1990 hardcover will show you 41 patterns to allow you to create brightly patterned Swedish sweaters. 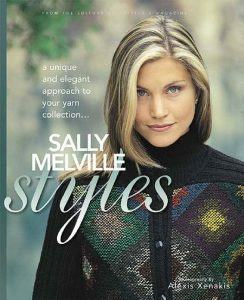 27 historical examples from museum collections and 14 contemporary designs are included in this book and all of the contemporary designs have clear, complete directions. Creative Crafts with Wool and Flax by Molly Duncan is a 1971 hardcover that is the sequel to Spin Your Own Wool and takes the next steps from spinning and dyeing to knitting, weaving, rugmaking and embroidery. This book also contains simple directions, clear pictures and drawings to make sure that nothing is missed. This book is in great used condition with only a few light scuff marks on the front cover. 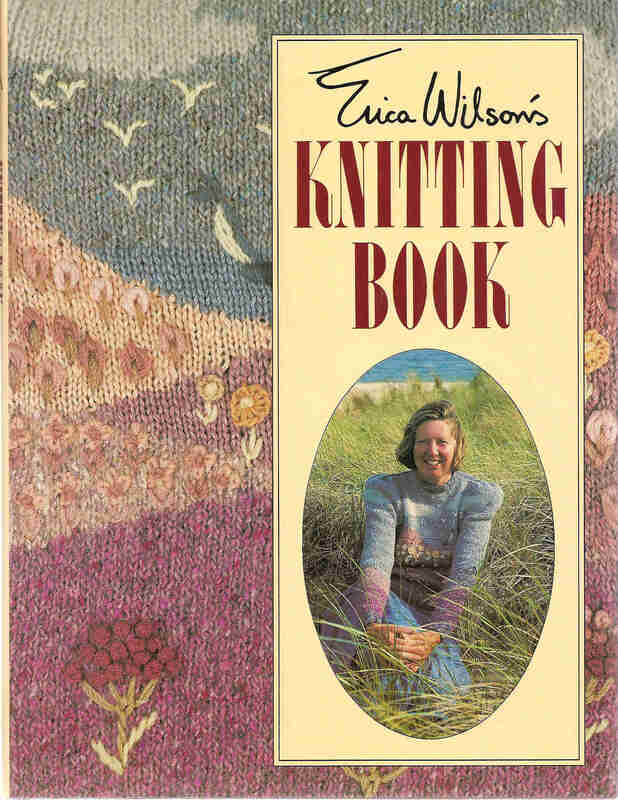 Erica Wilson’s Knitting Book by Erica Wilson is a 1988 hardcover that will teach knitters how to create textured patterns, colour changing, interpret a patterns, design design their own sweater patters and more. 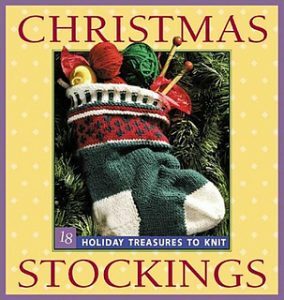 This book also includes over thirty assorted patterns illustrated with line drawings and photographs of the completed projects. Creative Knitting by Kaori O’Connor is a 1987 hardcover that contains designs which take their inspiration from all over the world. 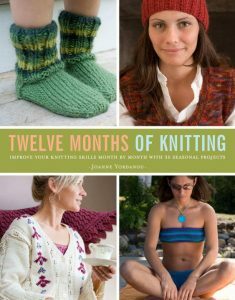 With twenty-seven designs that can each be used to knit eight different garments, creating a total of over one-hundred combination, enough to keep any knitter busy. 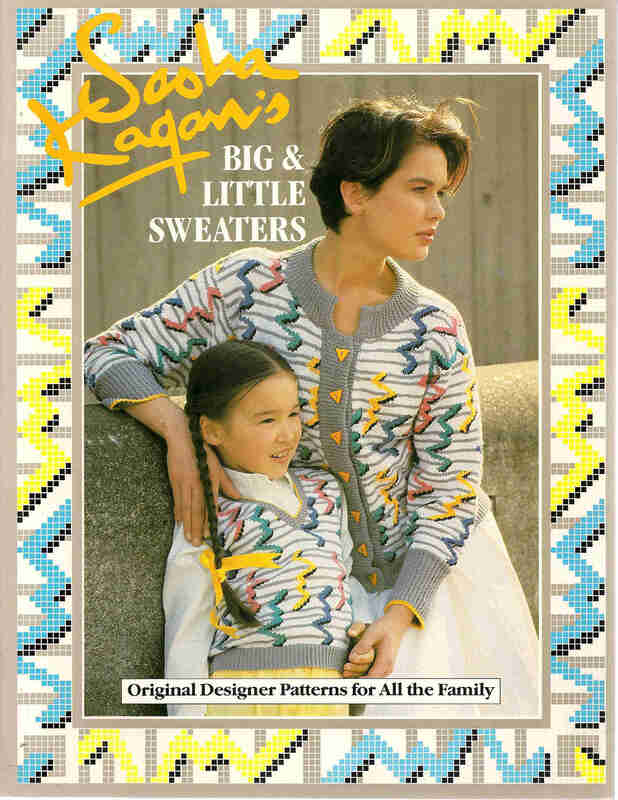 Big And Little Sweaters by Sasha Kagan is a 1987 paperback with plenty of original patterns that can be made into a variety of colours, shapes, and sizes. 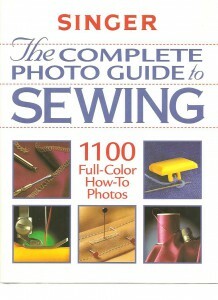 The patters are accompanied by photographs, and a useful how-to section is also included. 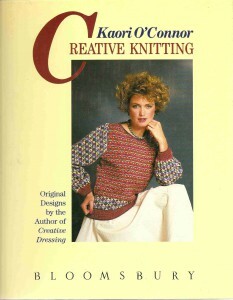 Knitting With Mohair by Melinda Coss and Debby Robinson is a 1988 paperback that contains thirty designs that accentuate the qualities of mohair. 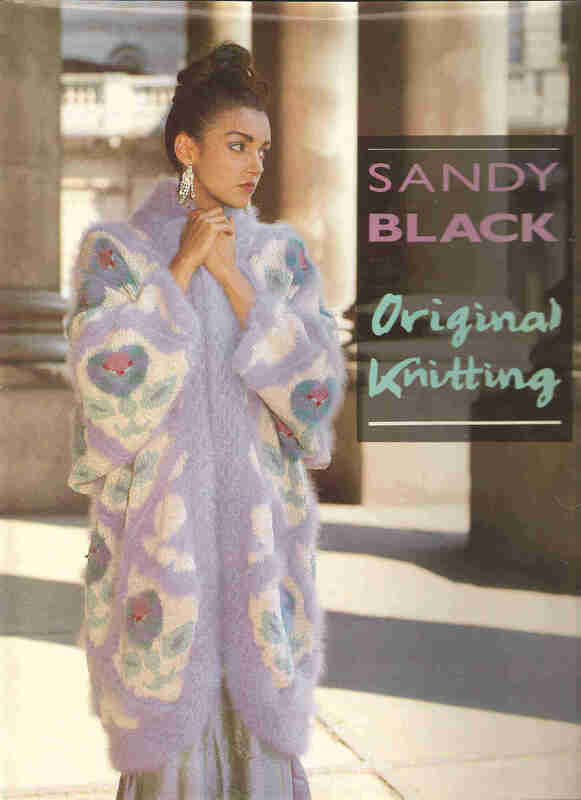 All garments are illustrated in colour, and, where necessary, have graphs of the motif or design to be knitted into the garment. This book is in very good used condition with only slight surface damage to the edge of the covers. 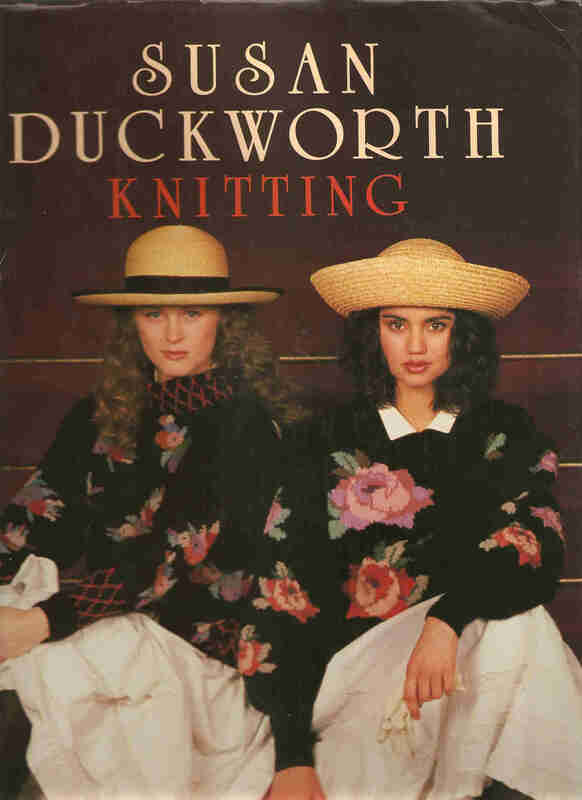 Signature Knits by Glenora Kelly Smith is a 1987 hardcover that will show you how to make thirty basic but beautiful sweaters, blouses, jackets, and more. 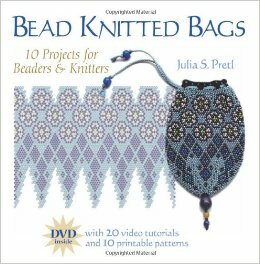 This book will help you master simple crochet, beadwork, and embroidery; you will use a variety of materials and learn many skills. 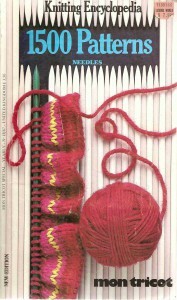 The patterns come with easy to follow directions to help you with your creation without any confusion. This book is in very good used condition with only light scuffing to the dust jacket. 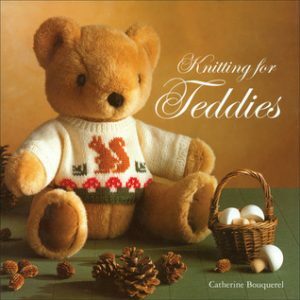 Children’s Knits by Christina Probert is a 1985 softcover that contains over 25 patterns for babies and young children. 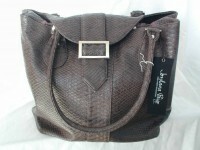 There are designs made for special occasions and designs for general wear. 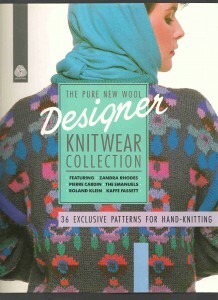 Patterns in a variety of patterns, textures, colours, and different types of garments, this book has them all. 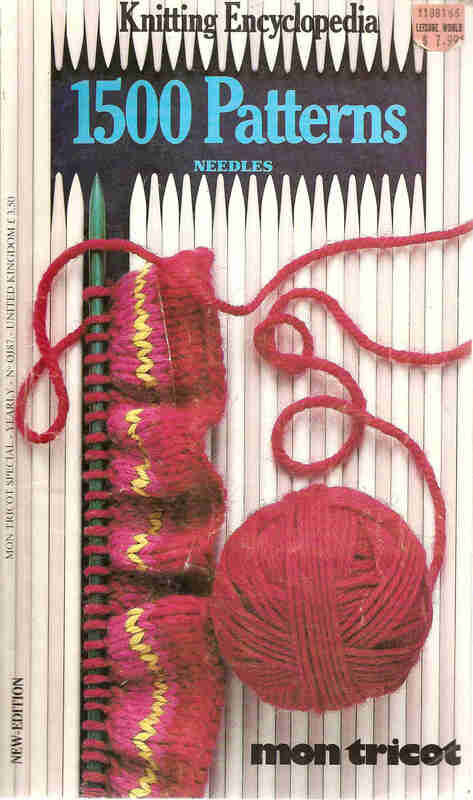 The Knit Kit by Sandy Carr, Josie May, and Eleanor Van Zandt is a 1985 combination of a how-to softcover book and 48 original patterns. 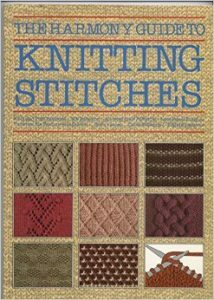 The book explains everything from basic stitches to the secrets of creating your own designs and patterns. 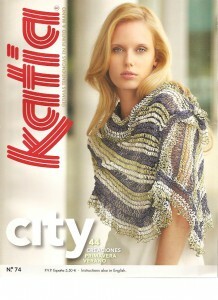 The full color pattern cards include projects from just about every area of kitting. This “kit” is in very good used condition with only minor wear to the plastic cover. 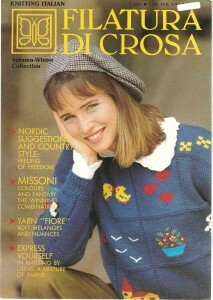 1500 Patterns No J87 by Mon Tricot is a 1986 magazine style publication covering all stitch techniques, pattern elements and some design elements. It could very well be the “Knitting Encyclopedia” as printed on the cover. 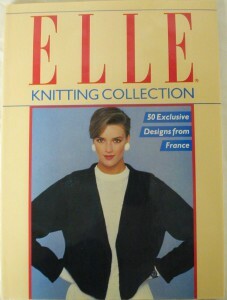 Published in France, this English version is in used condition but completely readable. The last page is torn, but complete. 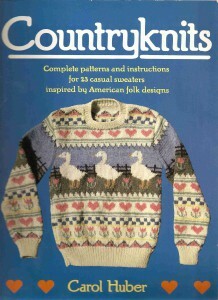 Country Knits by Carol Huber is a 1987 ring-bound paperback that contains patterns for 23 sweaters. 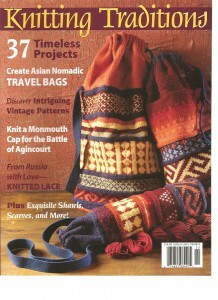 The patterns are inspired from many antique textiles. The patterns and their directions are all easy to follow and they show you how to do things like: substitute yarns, make size adjustments, and other modifications. This copy is in good used condition. 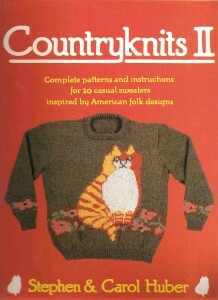 Country Knits II by Stephen & Carol Huber is a 1988 ring-bound paperback that contains patterns for 20 sweaters. 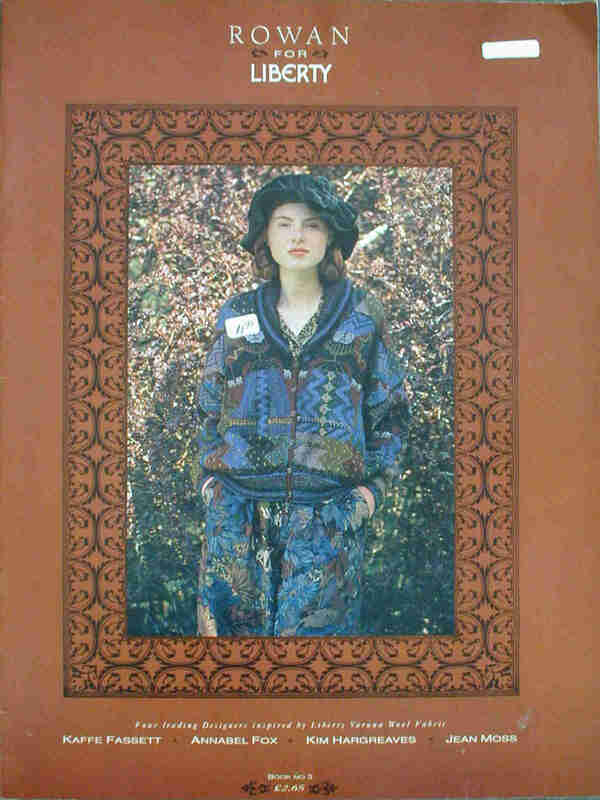 The patterns are inspired from many antique textiles. 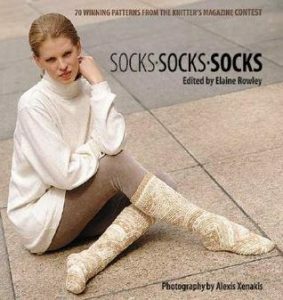 The patterns and their directions are all easy to follow and they show you how to do things like: substitute yarns, make size adjustments, and other modifications. This copy is in excellent used condition. 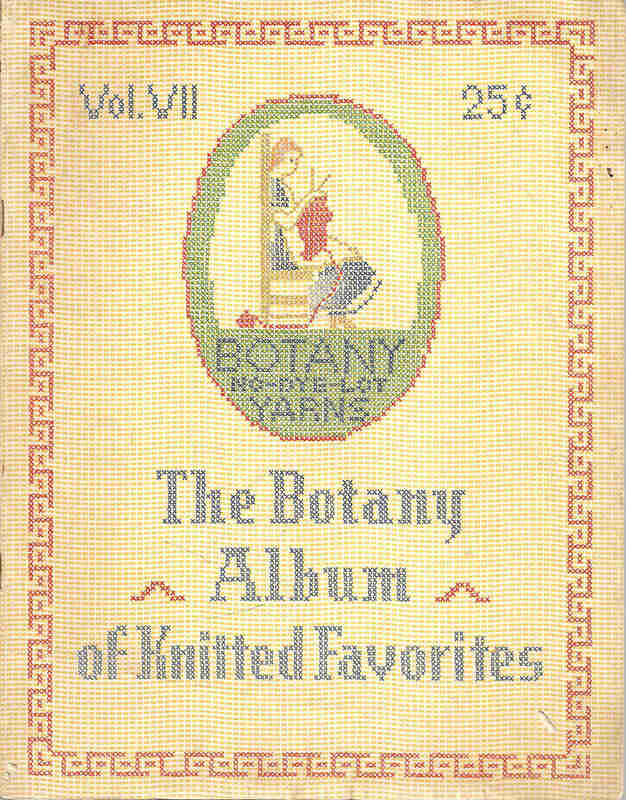 The Botany Album of Knitted Favorites Vol. 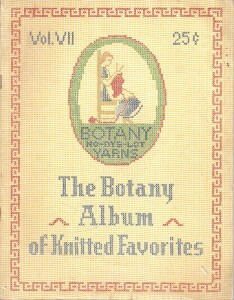 VII is a vintage collection of patterns published by Botany Worsted Mills in 1944. 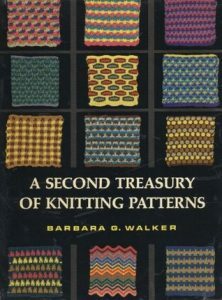 This collectible pattern book is is in good used condition with slight cover scuffing and a few small holes in the first few pages. Gorgeous Kids Knitting Book No. 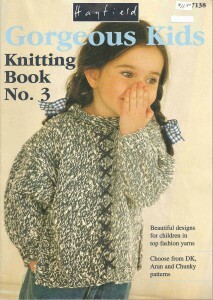 3 by Hayfield Textiles is a collection of 12 children’s designs, all with several color pictures. 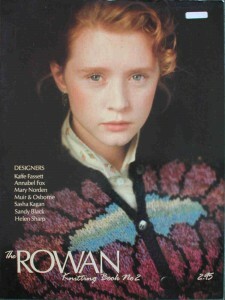 This British publication is in very good used condition with only minor cover discoloration. Hand Knit Sock Styles by Beehive is a Patons and Baldwins Ltd collection of 20 sock patterns. 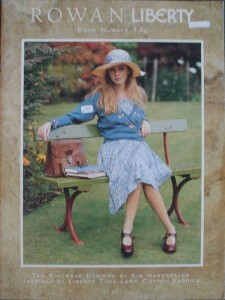 This vintage magazine is No 57 in the series and is complete but shows many signs of use. 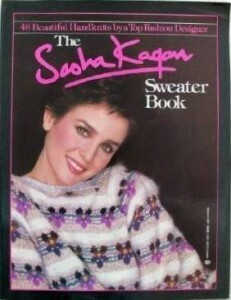 The front and back covers are creased and the spin is worn through in a few places. 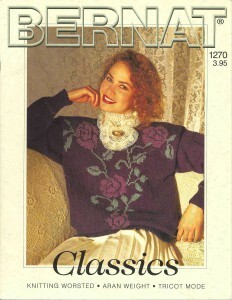 Bernat Classics 1270 by Bernat Yarns is a small collection of 7 traditionally styled sweaters. 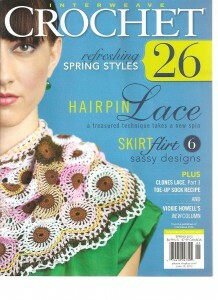 The Floral project is shown and others include Fairilse, Aran and Braided Cable. All projects are shown in in great color pictures. This copy is in good used condition with only a few highlighted markings from the previous knitter. 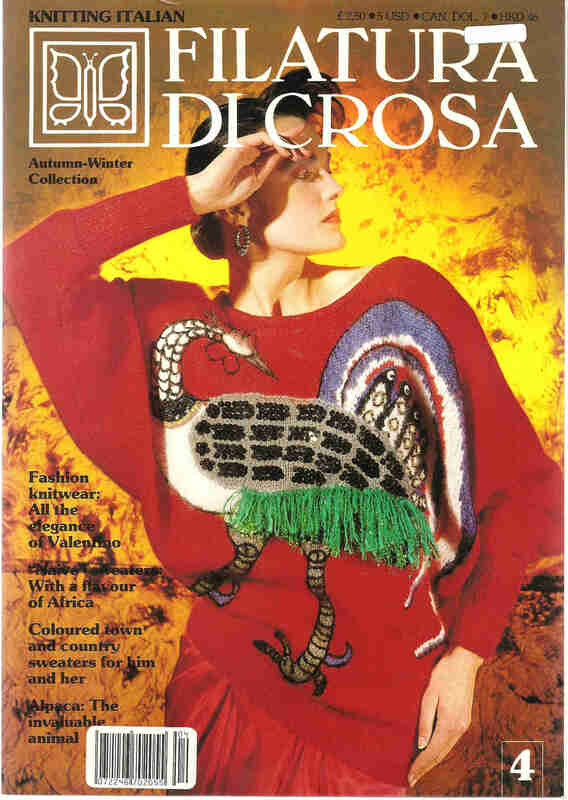 Italian knitting magazine Filatura Di Crosa No 4 is an autumn-winter collection featuring dozens on projects, all with great color pictures and instructions. This copy is in excellent used condition. There is a small sticker on the cover as can be seen in the picture. Italian knitting magazine Filatura Di Crosa No 10 is an autumn-winter collection featuring dozens on projects, all with great color pictures and instructions. The pull-out is included. 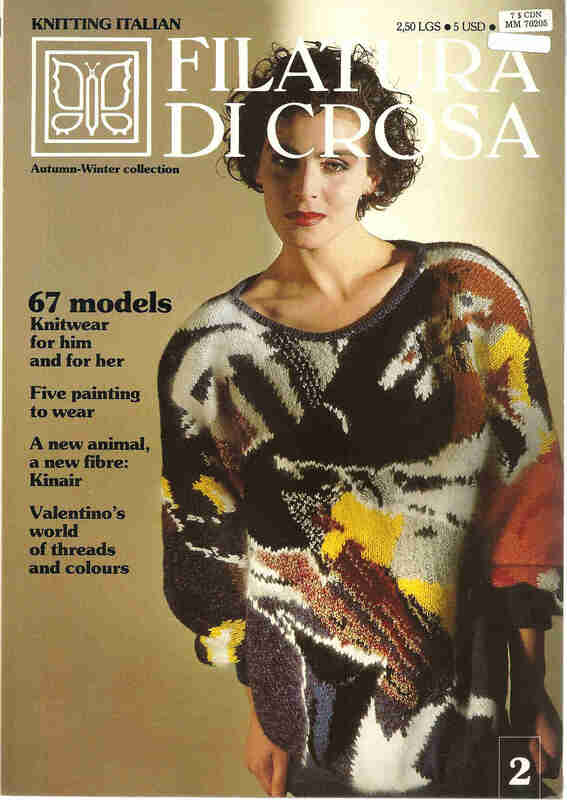 Italian knitting magazine Filatura Di Crosa No 14 is an autumn-winter collection featuring dozens on projects, all with great color pictures and instructions. 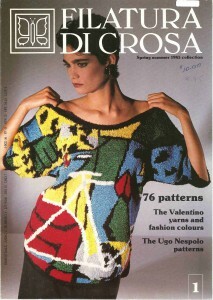 Italian knitting magazine Filatura Di Crosa No 1 is a spring-summer collection featuring dozens on projects, all with great color pictures and instructions. This copy is in nice used condition with a hand written price on the front cover. There is a small sticker on the cover as can be seen in the picture. Patons Great Grannies, pattern book 569, features Patons Canadiana yarn. 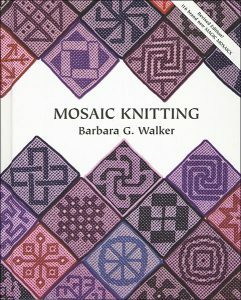 There are sections on stitches, techniques, hints and motif instructions. There 12 projects in this publication, but the possibilities are all most endless for crochet granny squares. 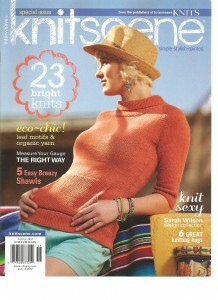 This magazine style publication is in great used condition. Italian knitting magazine Filatura Di Crosa No 3 is a spring-summer collection featuring dozens on projects, all with great color pictures and instructions. 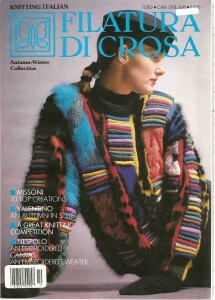 Italian knitting magazine Filatura Di Crosa No 2 is an autumn-winter collection featuring dozens on projects, all with great color pictures and instructions. 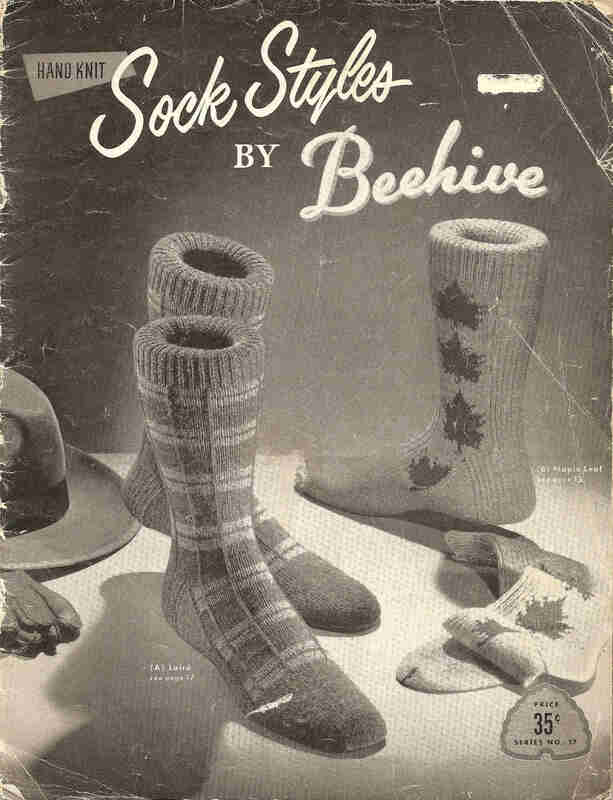 The Canadian Living Collection ( Vol. 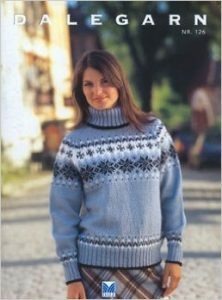 100 ) is a pattern book of 12 sweaters featuring Patons yarns. 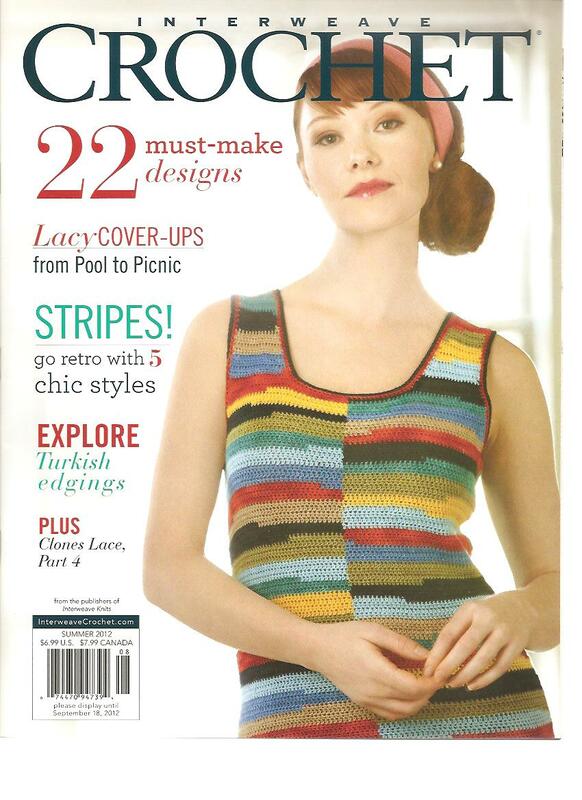 Color pictures and many charts are included with most projects. 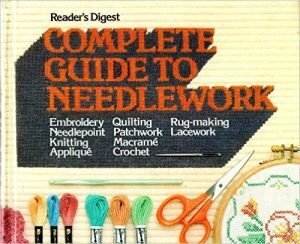 There is also a helpful hints section at the back of the book which includes a needle conversion chart. 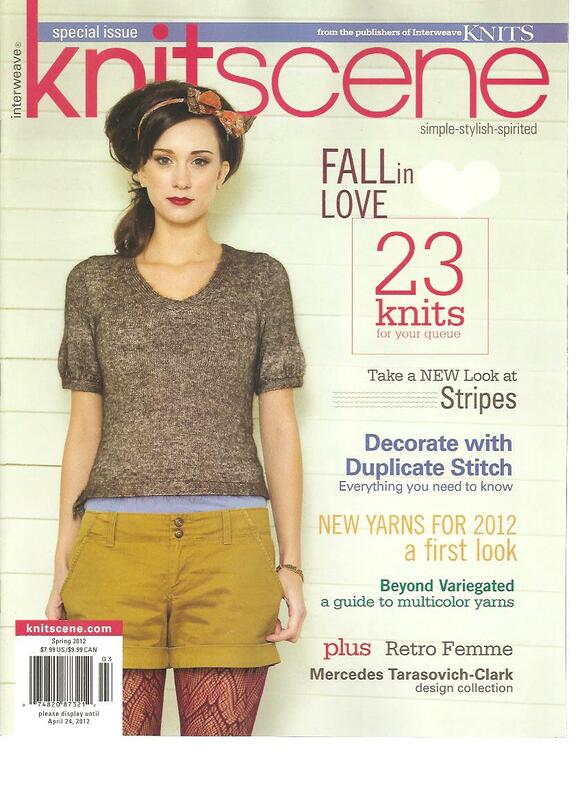 This magazine style publication is in nice used condition with some minor wear marks on the front cover. 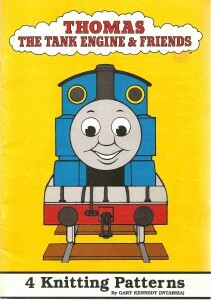 Thomas The Tank Engine & Friends by Gary Kennedy (Intarsia) is a small collection of 4 plush toys you can knit. Instructions are given for all the little pieces and then how to assemble them into the complete the toy. 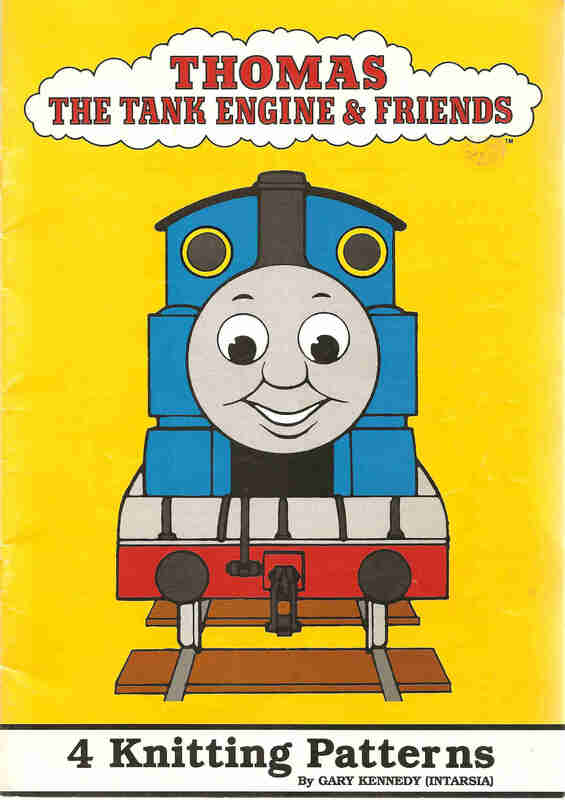 The projects are for James the Red Engine, Thomas the Tank Engine, Percy the Small Engine and the Fat Controller. This magazine style publication is in nice used condition. 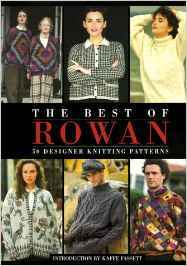 The Rowan Knitting Book 2 contains well over 20 patterns. There are many color pictures and charts to accompany the patterns. 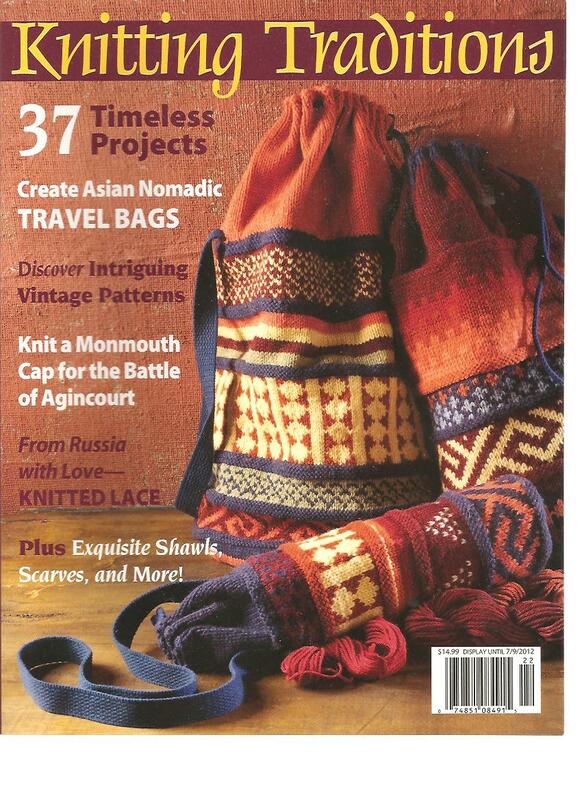 Designers include Annabel Fox, Kaffe Fassett, Sandy Black, Sasha Kagan and others. This magazine style publication is in nice used condition with only a few creases to the top of the front cover. 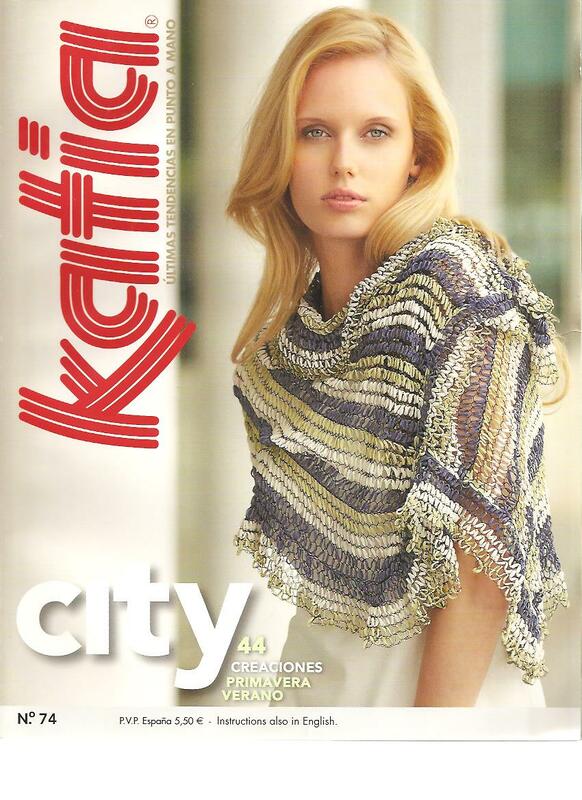 Pfaff Rowan Designer Knitware Collection contains 18 knitting machine patterns. These patterns are designed with Rowan yarns for use on the Pfaff Duomatic 80 knitting machine. 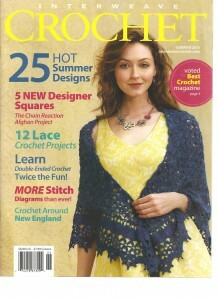 Designers include Sue Turner, Sarah Dallas, Kaffe Fassett, Jane Davis and others. Rowan Liberty – Book # 2 contains 10 knitware designs by Kim Hargreaves. 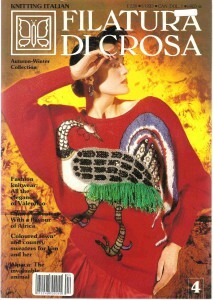 Each project is shown in one or more color pictures as well as the charts to aid in the interpretation of the pattern. 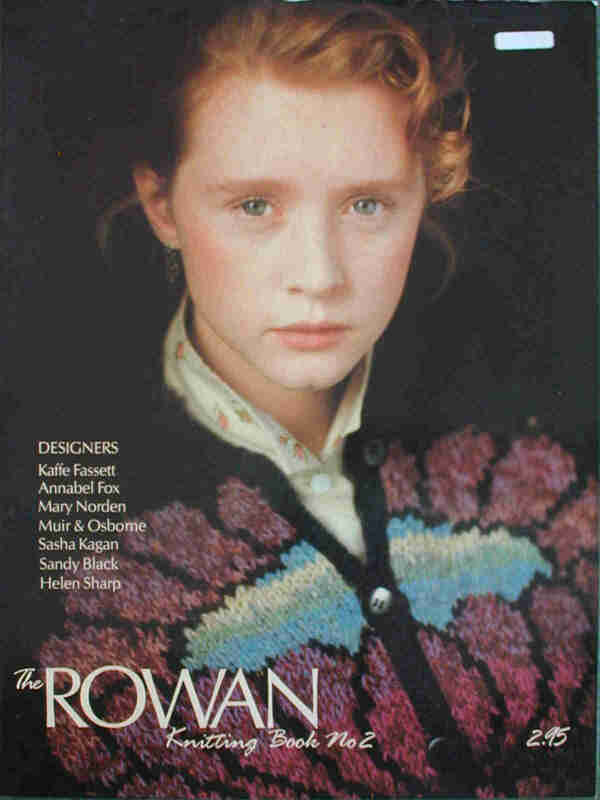 Rowan For Liberty Book # 3 is a collection of 8 designs, all with color pictures and charts. 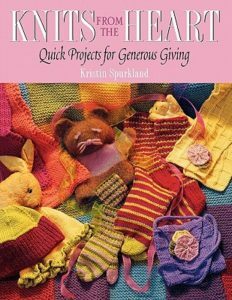 These projects have all been inspired by Liberty Varuna Wool Fabric through designers Annable Fox, Kim Hargreaves, Jean Moss and Kaffe Fassett. 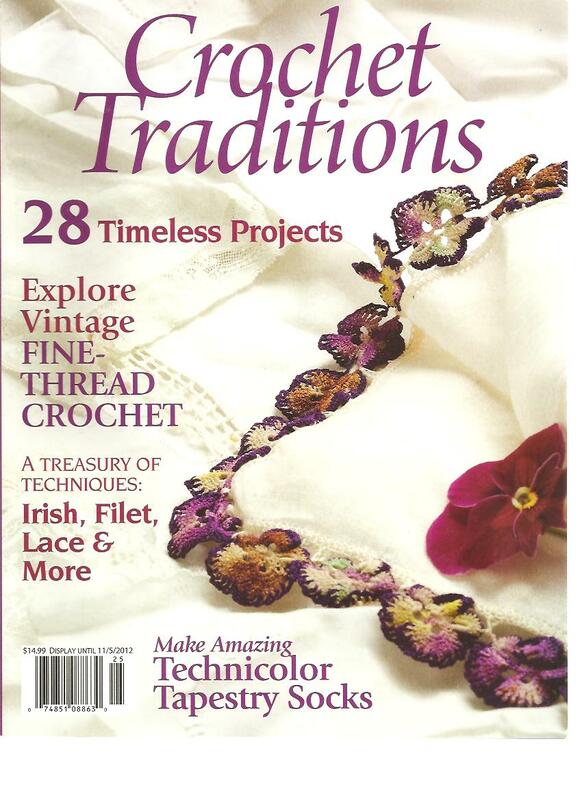 This magazine is new-old stock, never read, in new condition. This used magazine is in good condition and comes with the English translation pages. 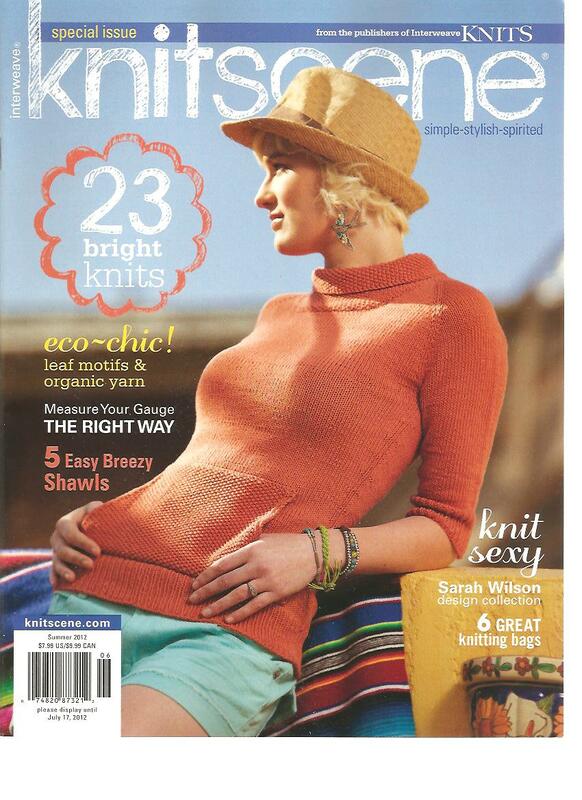 This used magazine is in great condition. Revised second edition, hardcover with dust jacket in very nice condition. Over 675 pages. 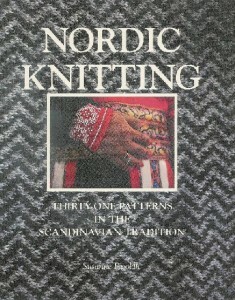 Hardcover book in like-new condition. Over 300 pages packed with info. Very nice hardcover book in like-new condition. 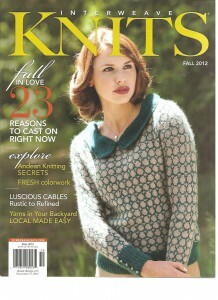 Sewing knit material is mentioned.